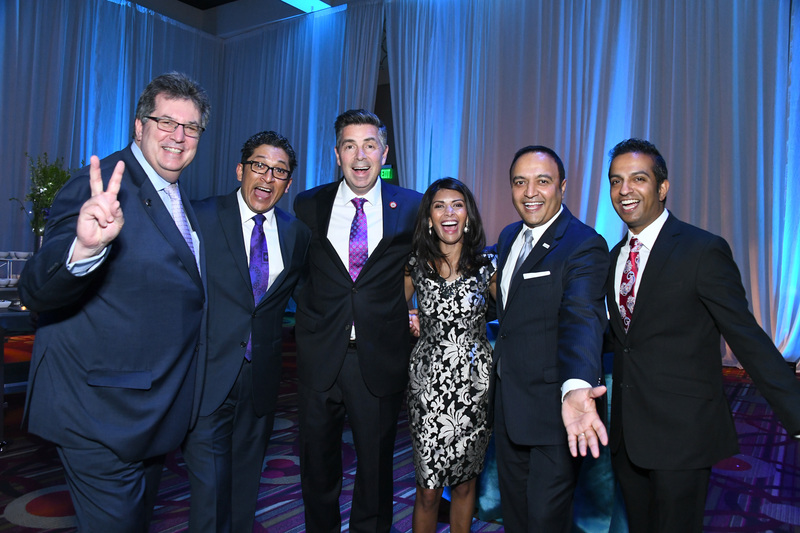 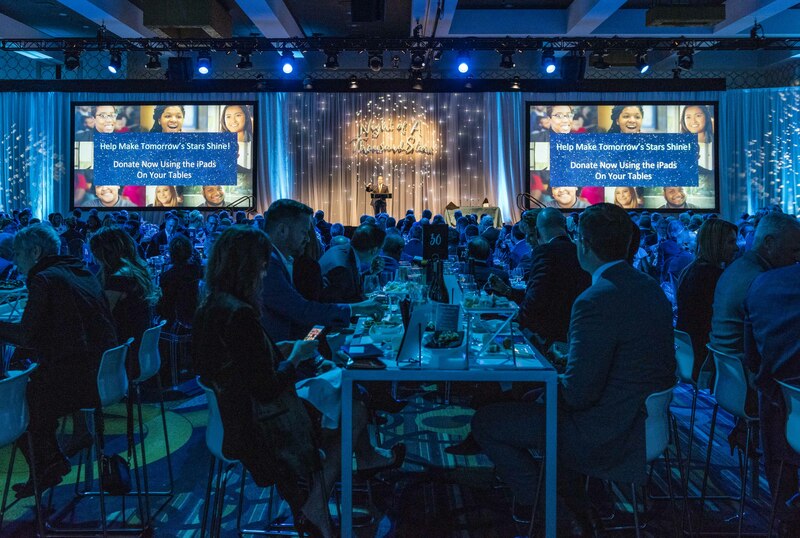 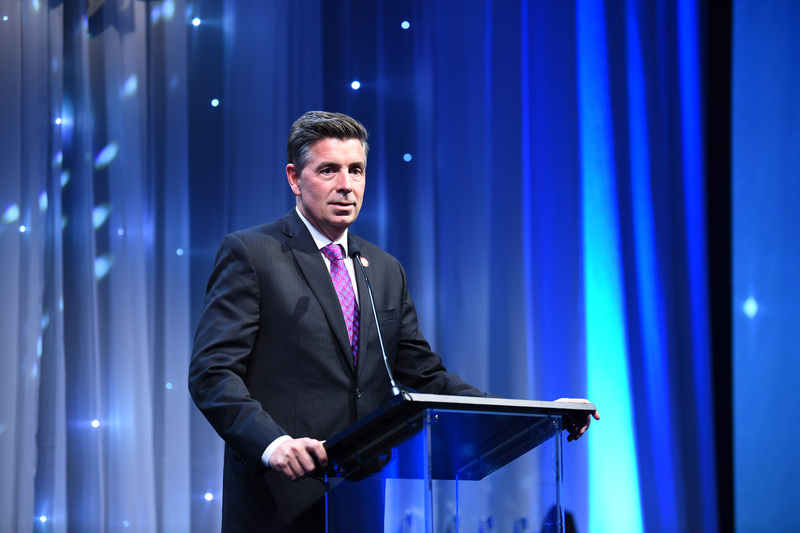 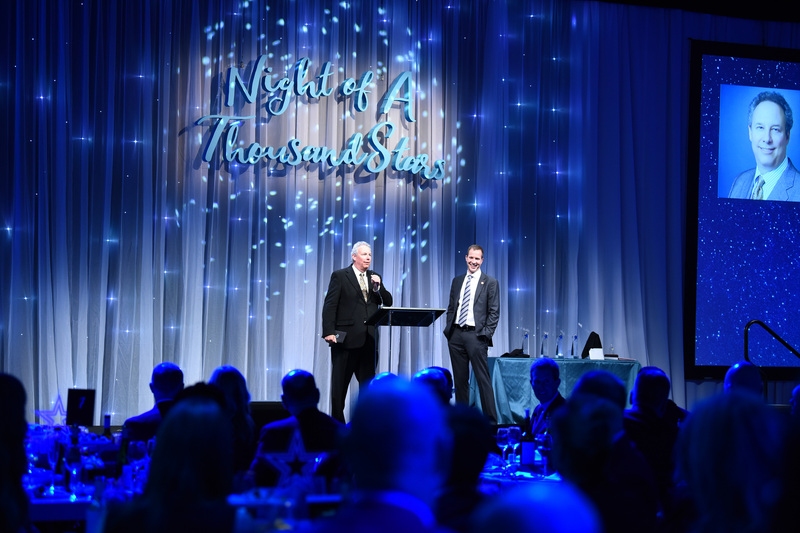 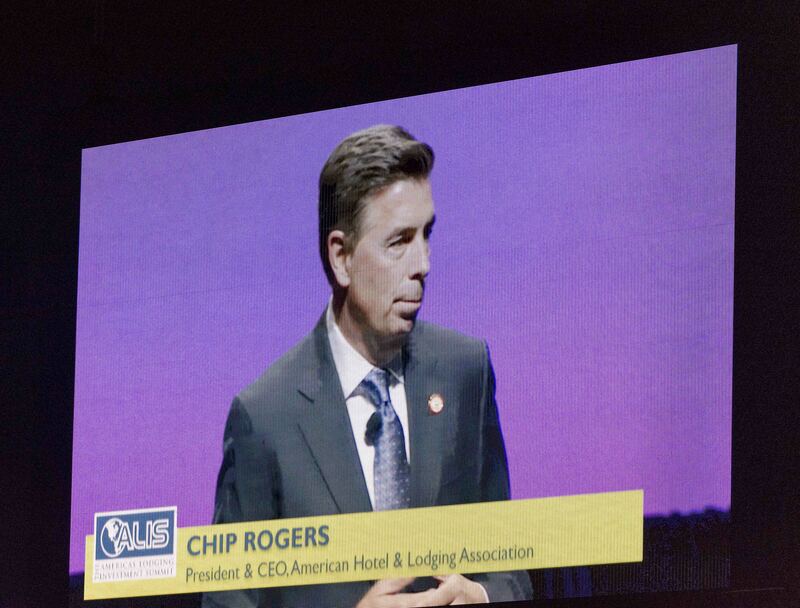 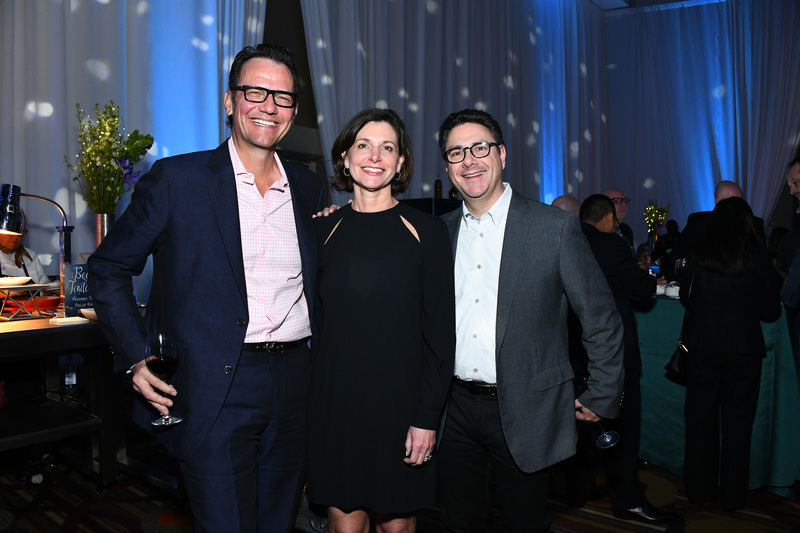 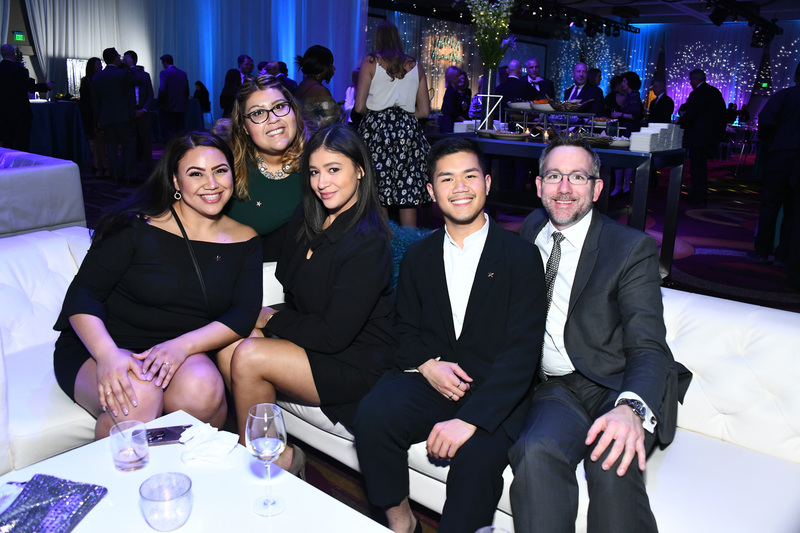 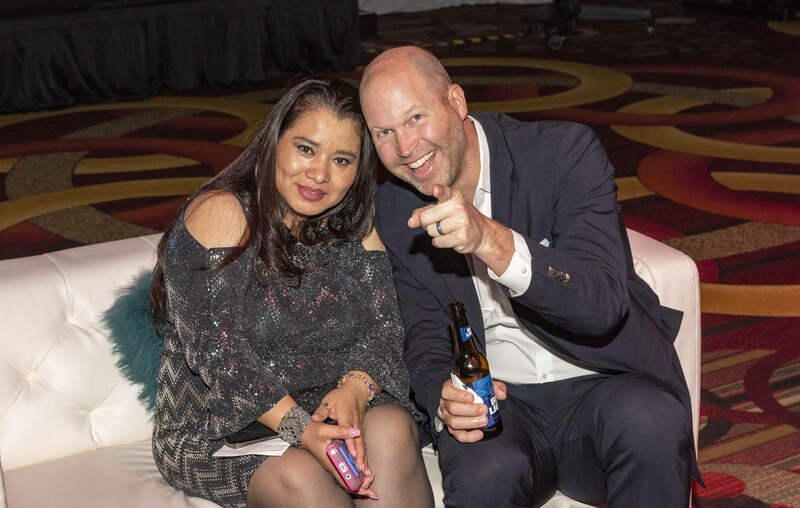 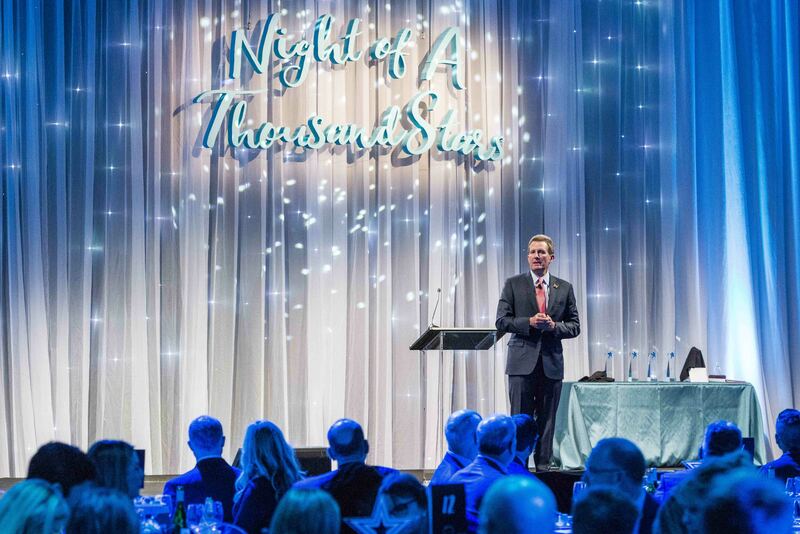 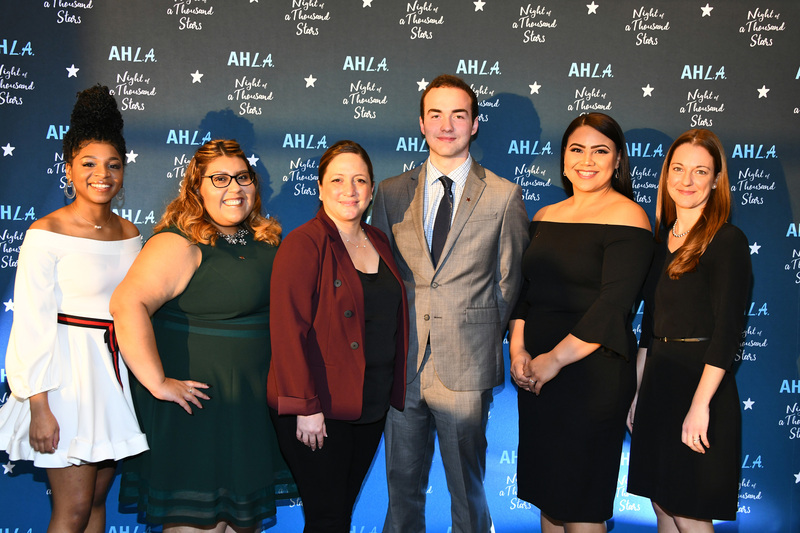 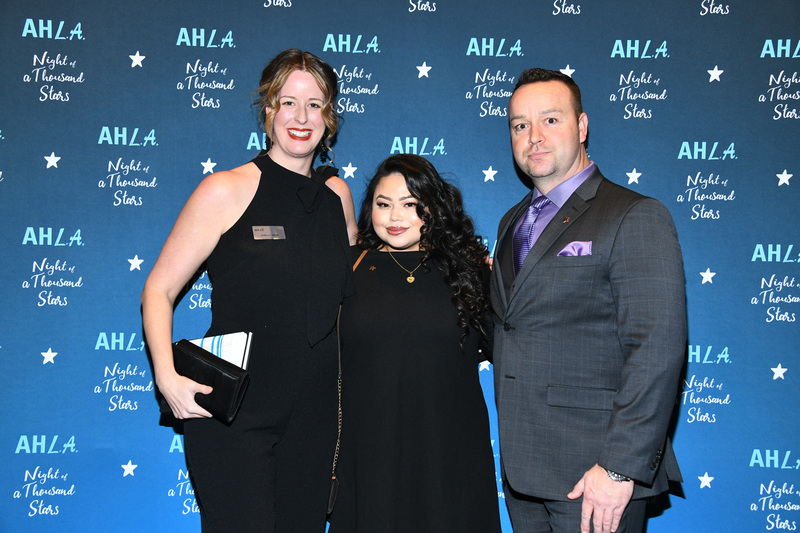 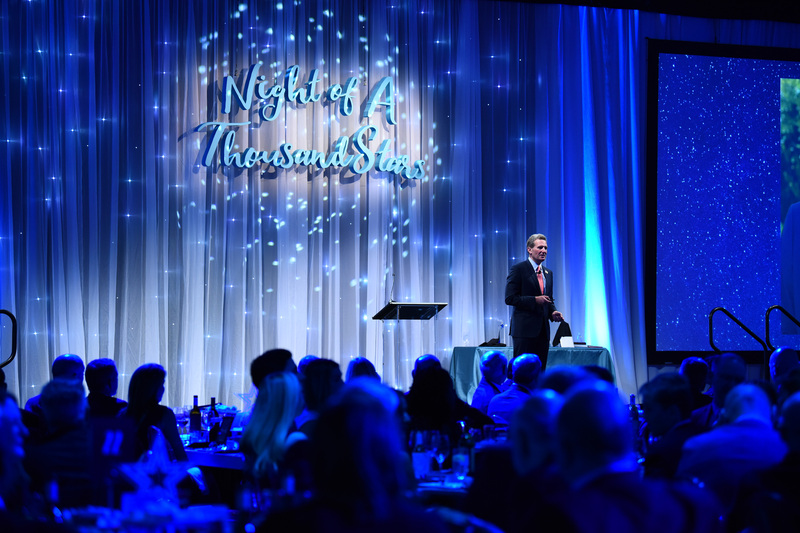 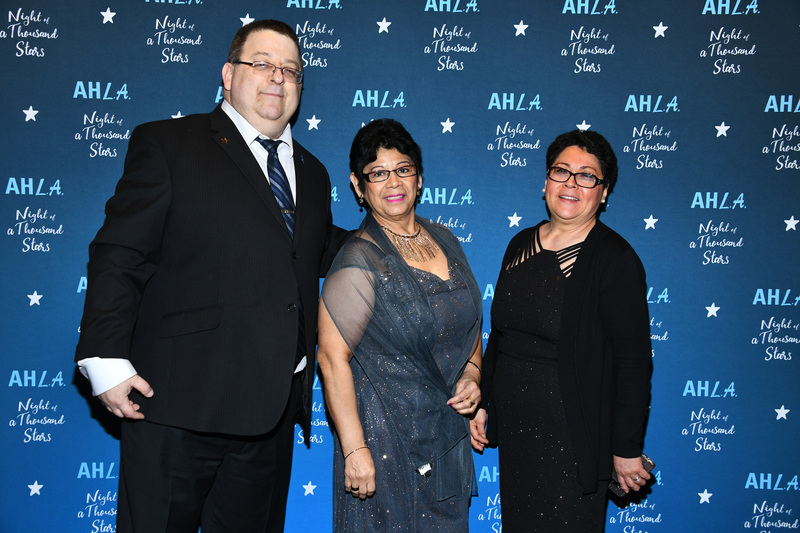 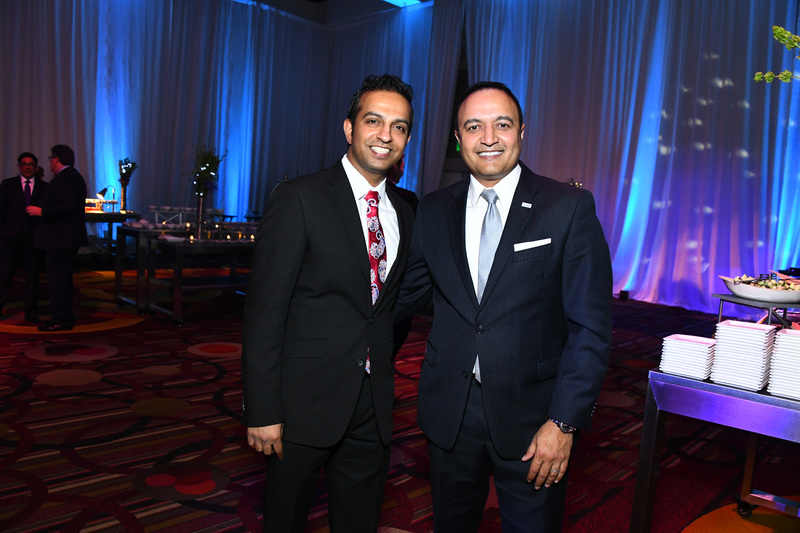 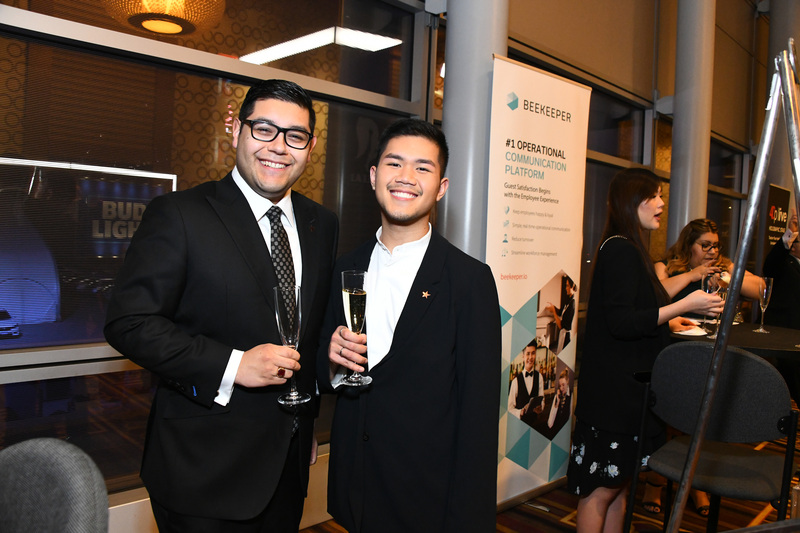 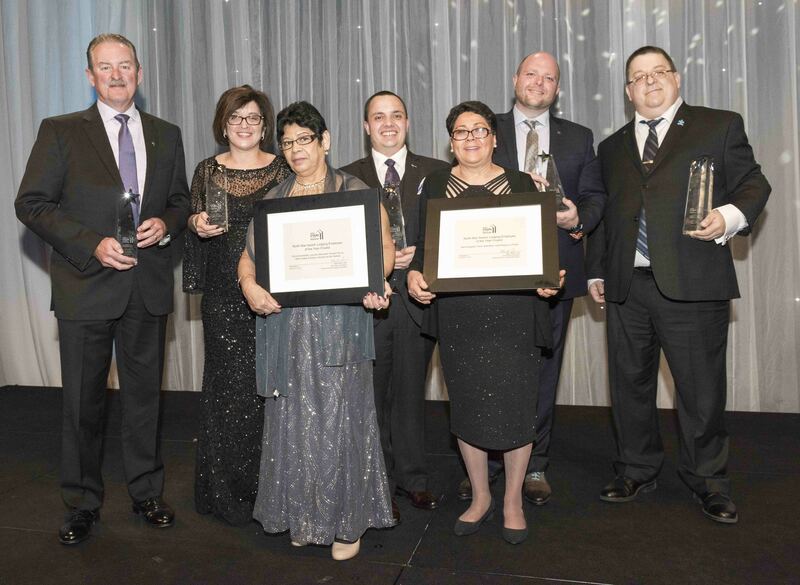 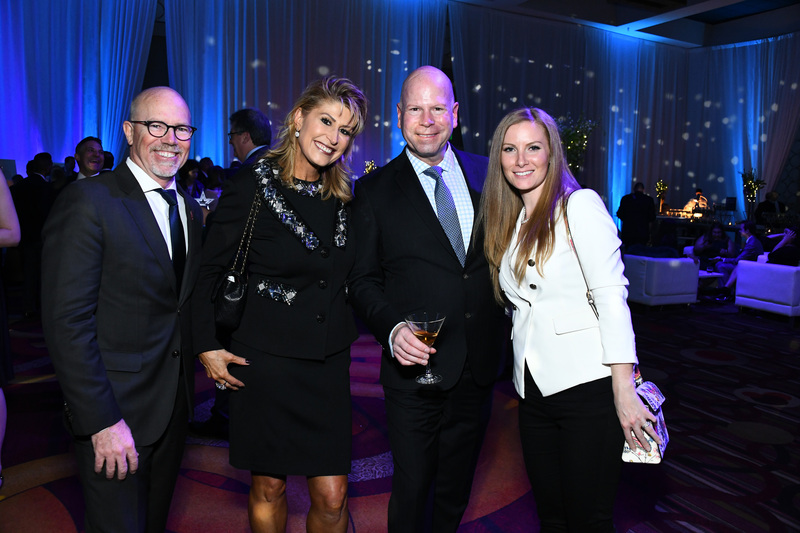 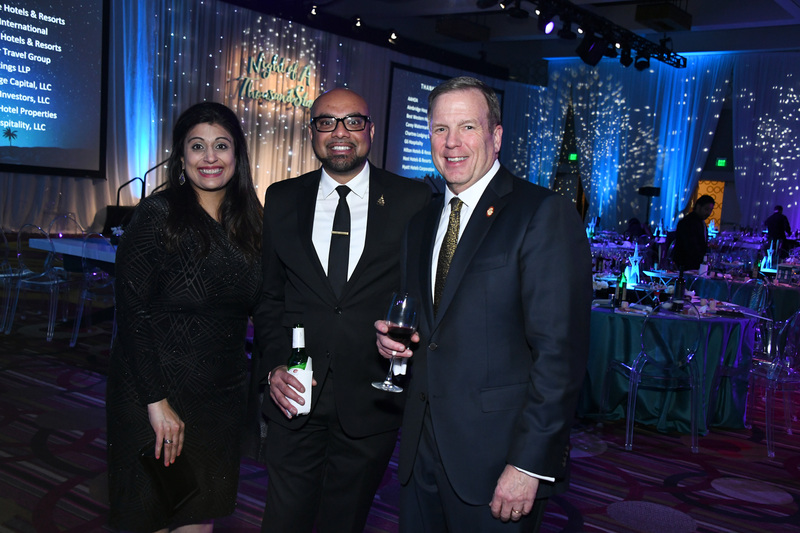 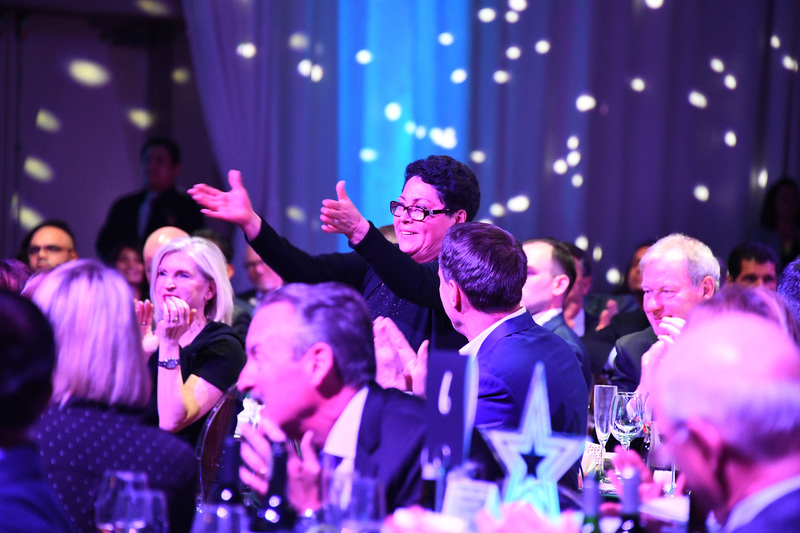 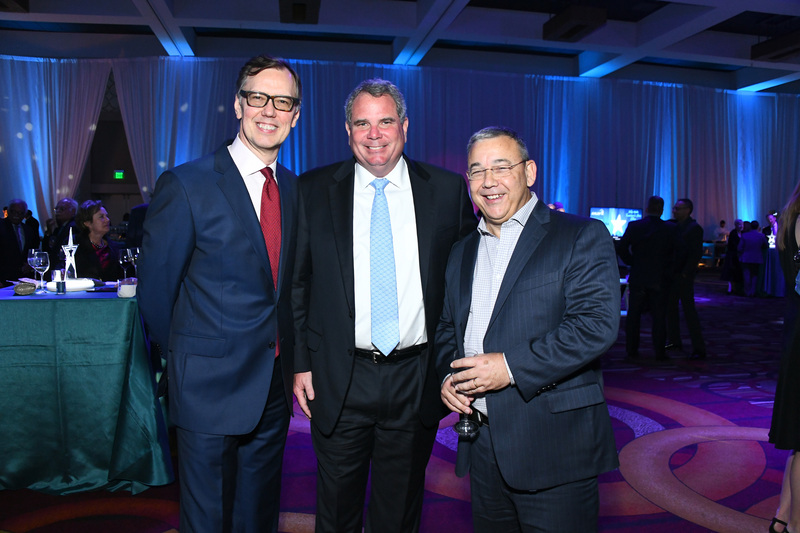 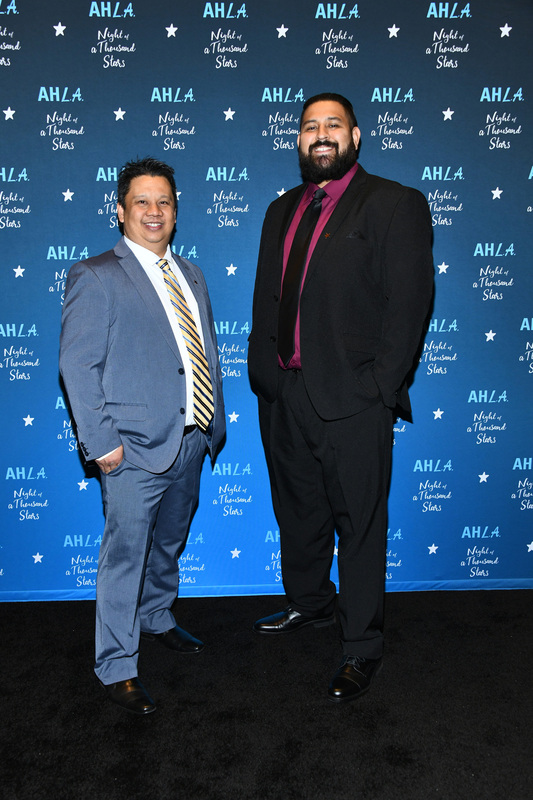 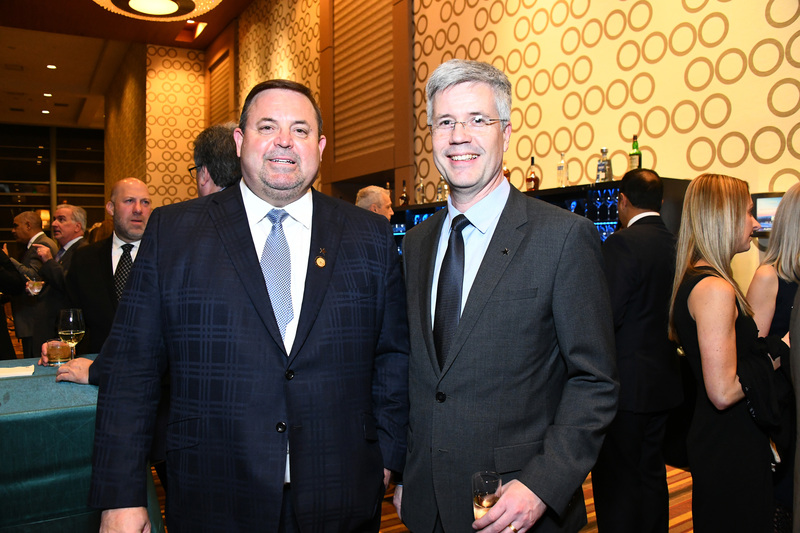 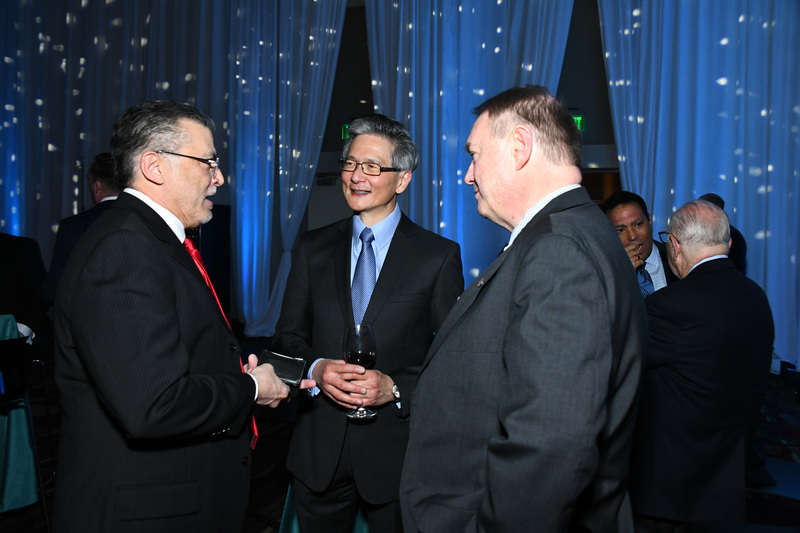 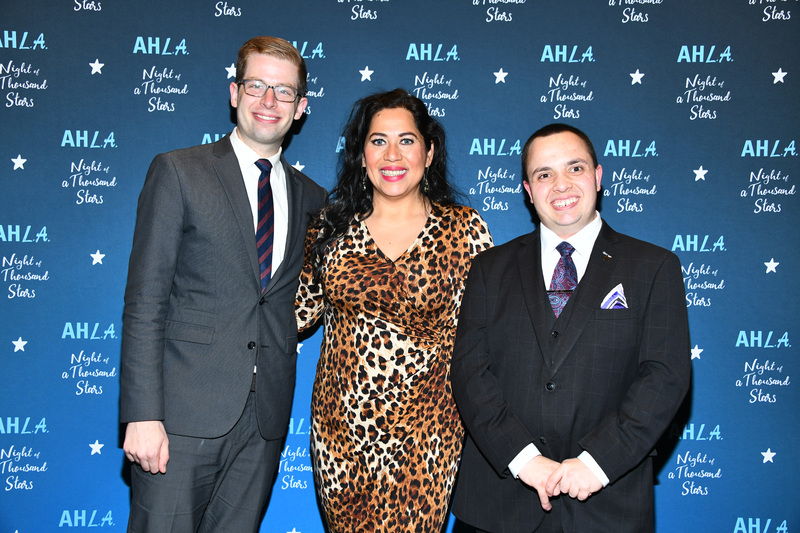 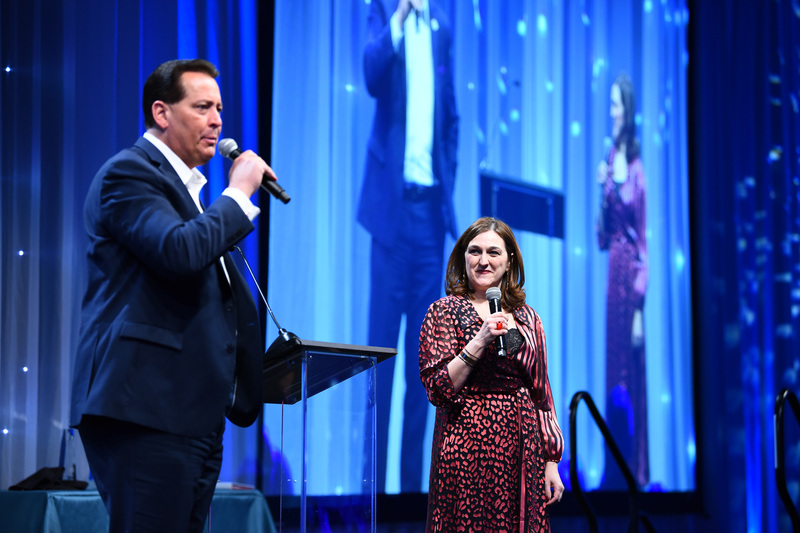 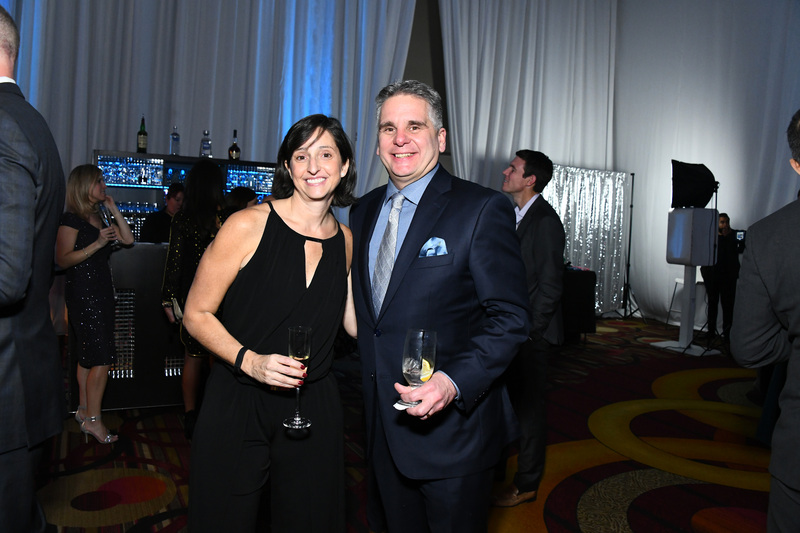 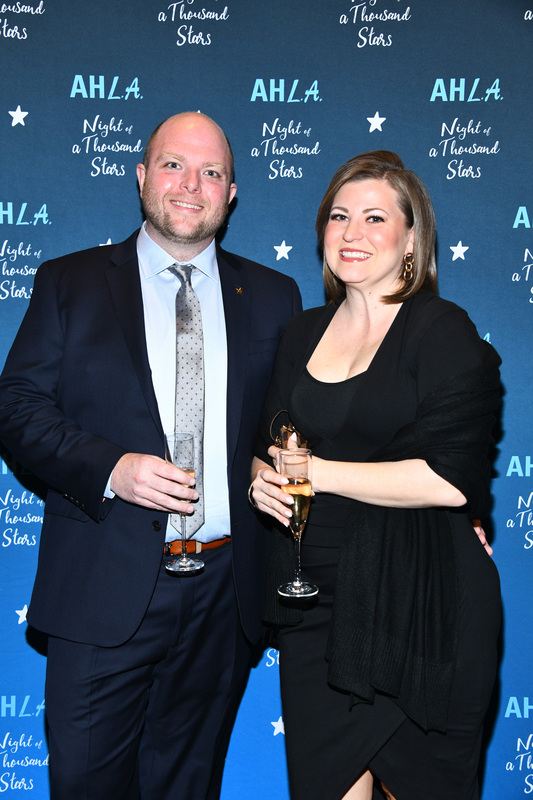 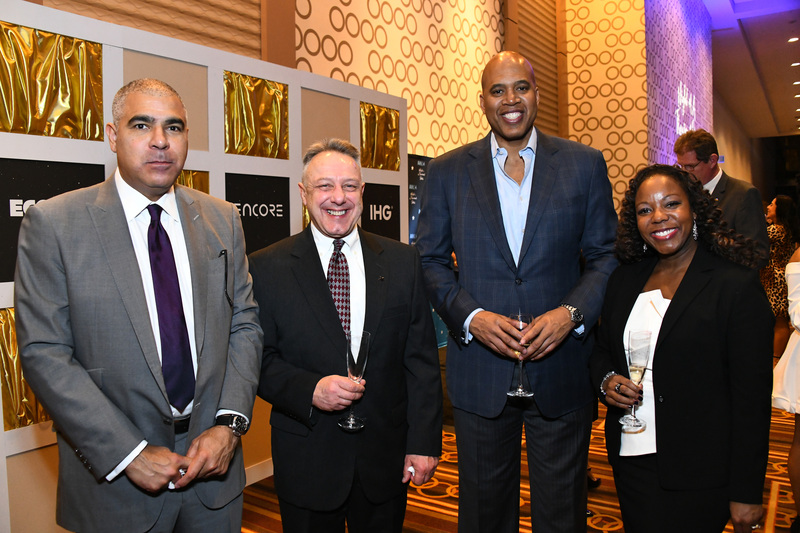 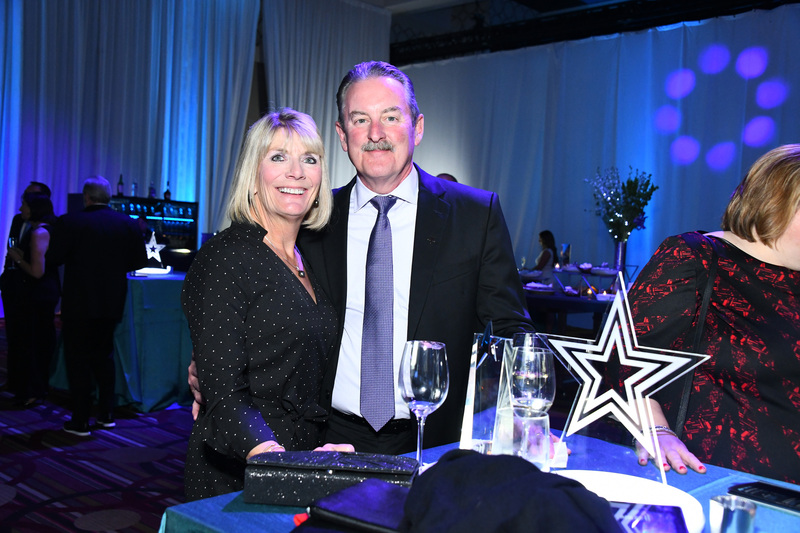 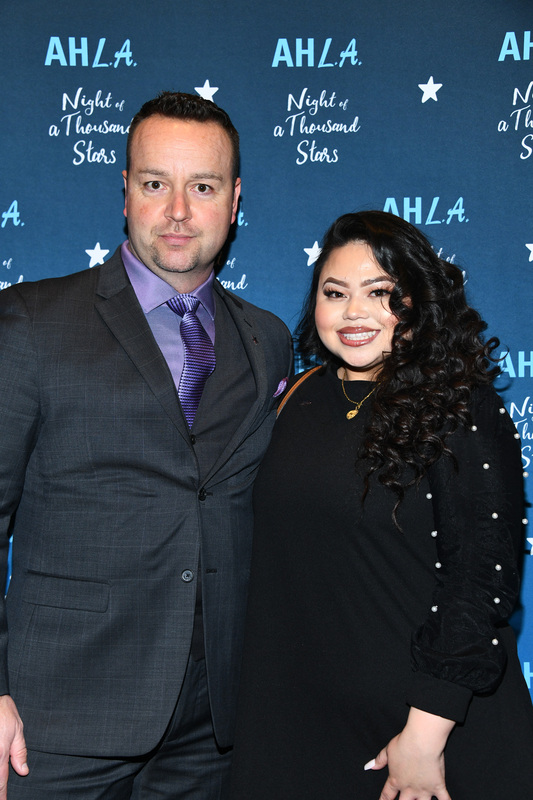 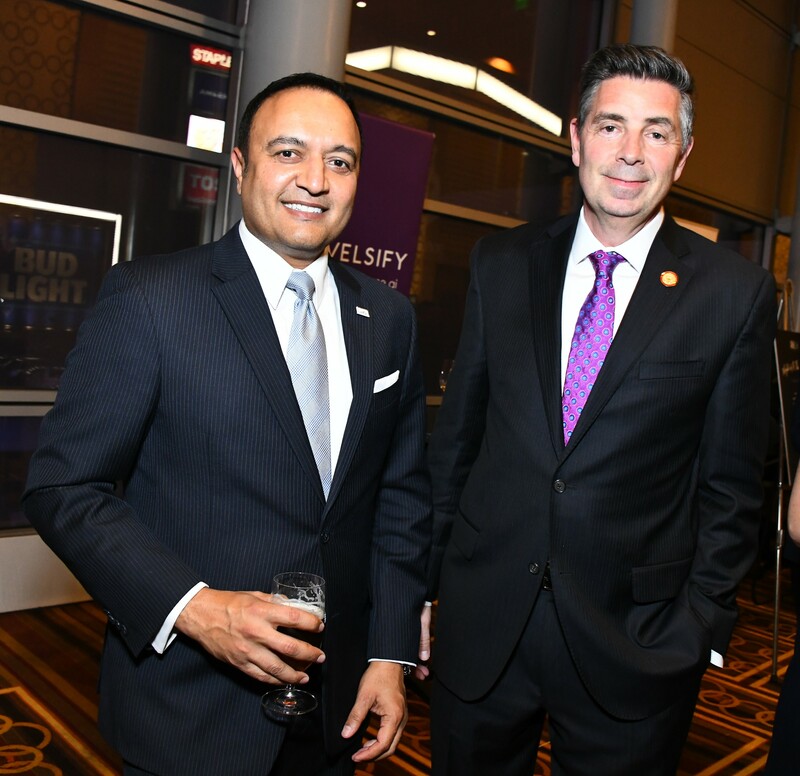 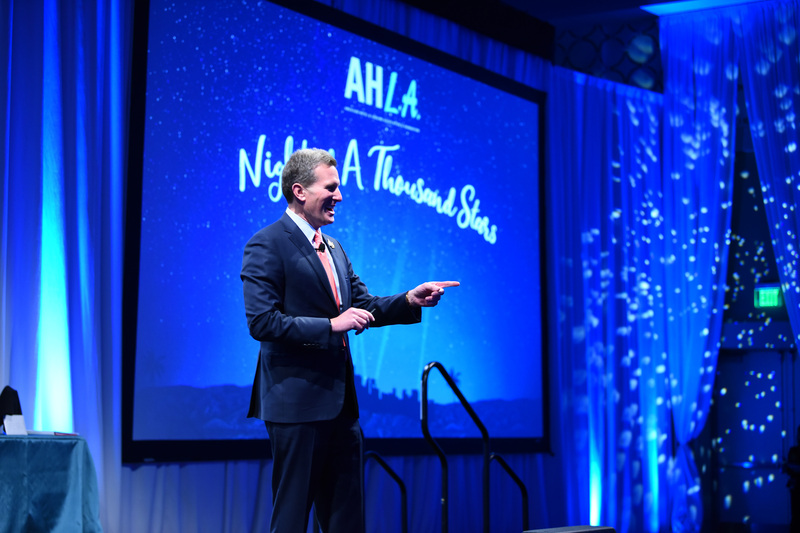 LOS ANGELES (January 27, 2019) – The American Hotel & Lodging Association (AHLA) and the American Hotel & Lodging Educational Foundation (AHLEF) honored the winners of the 2019 Stars of the Industry Awards, which included top hotel employees in the hospitality and lodging industry for their outstanding accomplishments, service, and leadership. 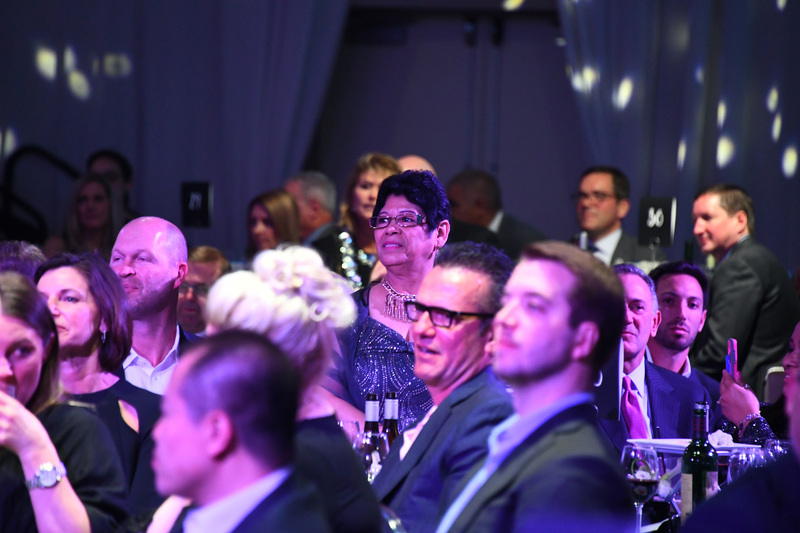 The winners were chosen from 320 nominations from all sectors of the industry and across the country. 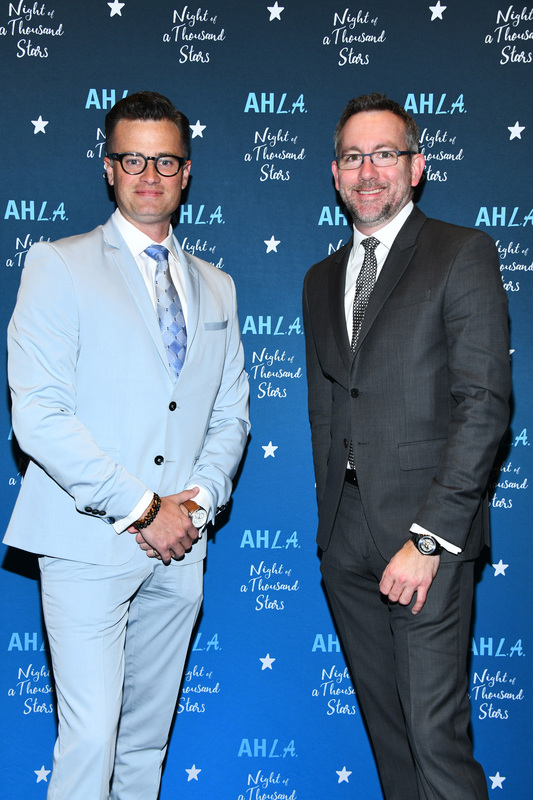 AHLA Vice Chair, Jon Bortz, Chairman, President & CEO, Pebblebrook Hotel Trust and AHLA Secretary/Treasurer Justin Knight, President & CEO, Apple Hospitality REIT hosted the award ceremony at the JW Marriott in Los Angeles as part of the first ever “Night of a Thousand Stars” gala, the Foundation’s premier fundraiser ahead of the Americas Lodging Investment Summit (ALIS). 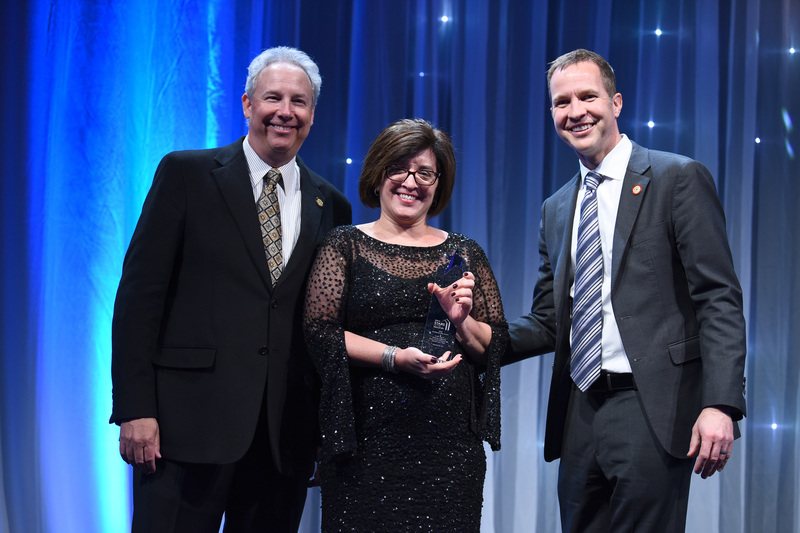 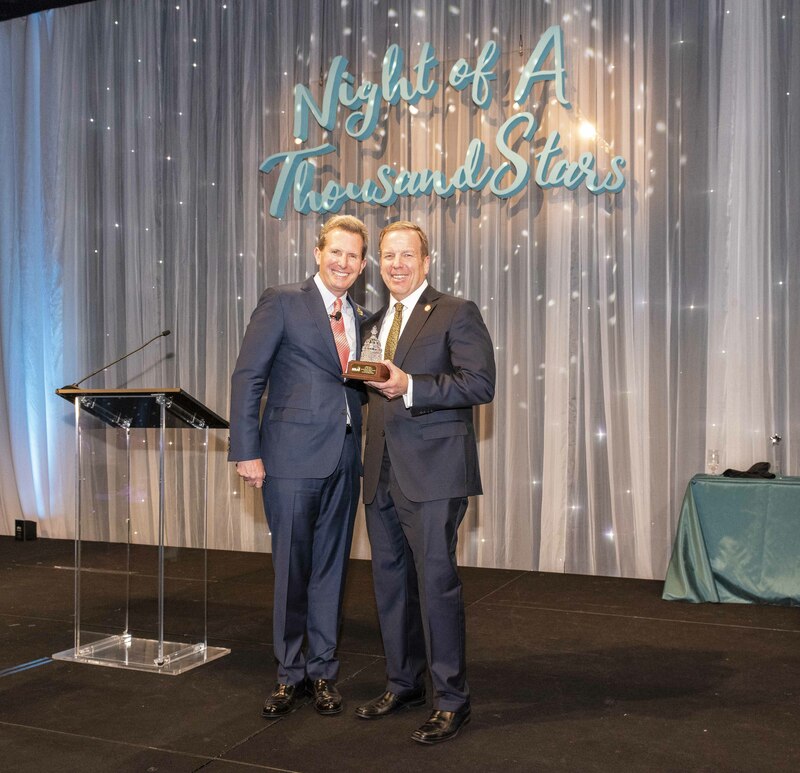 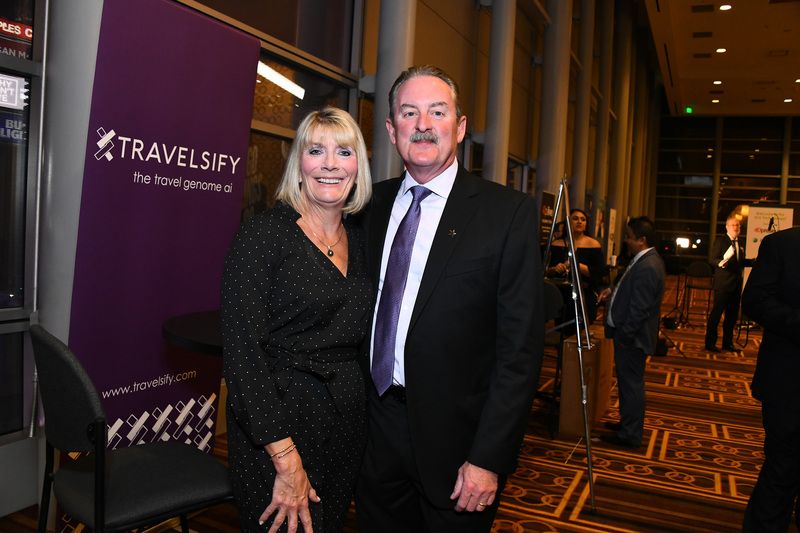 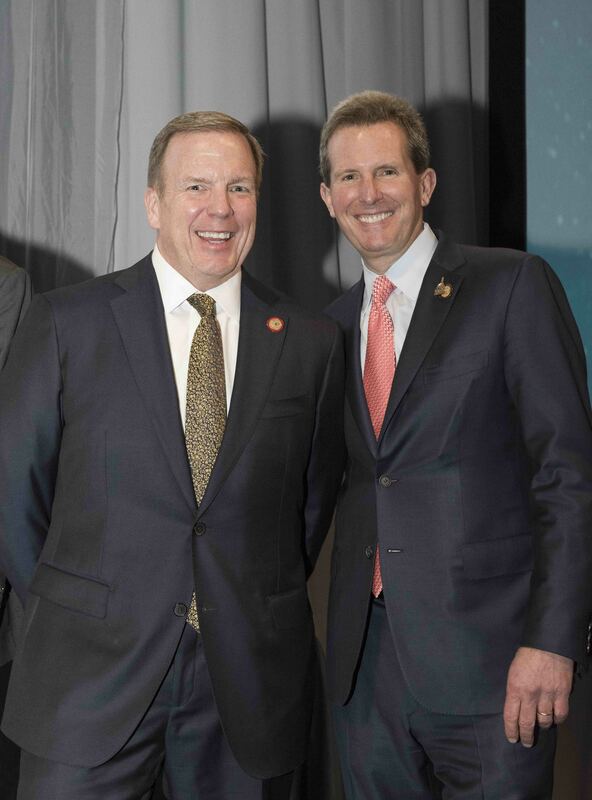 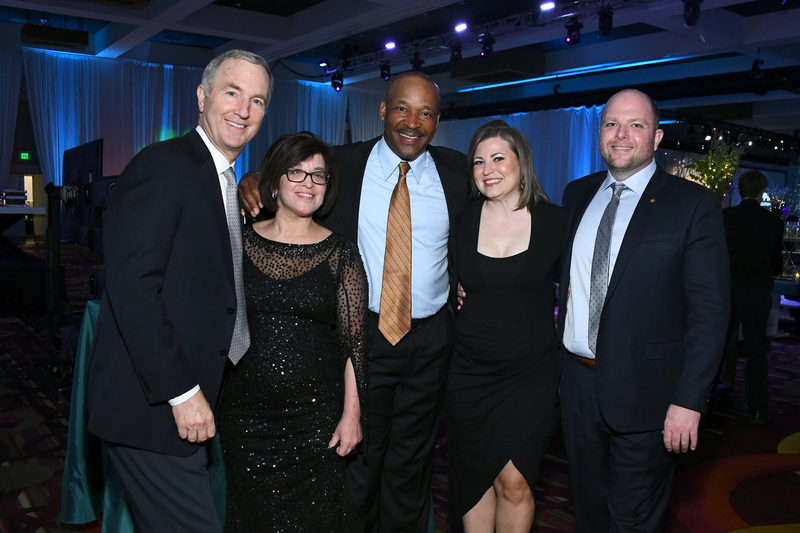 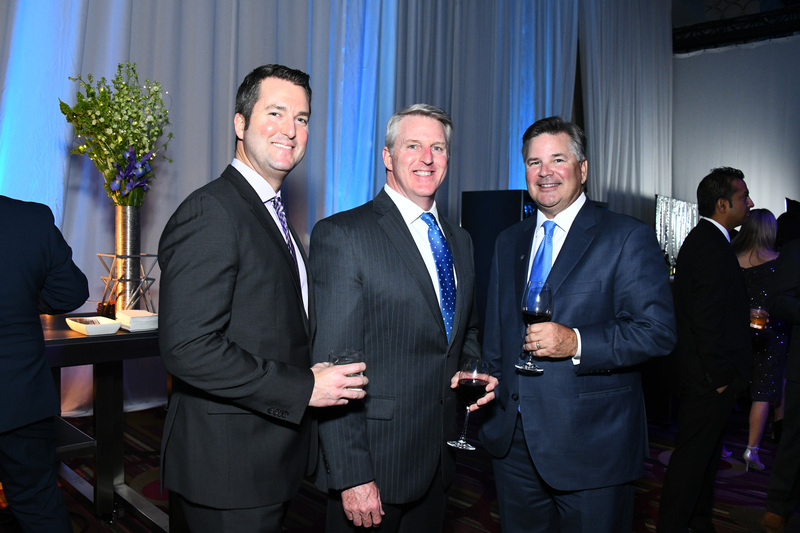 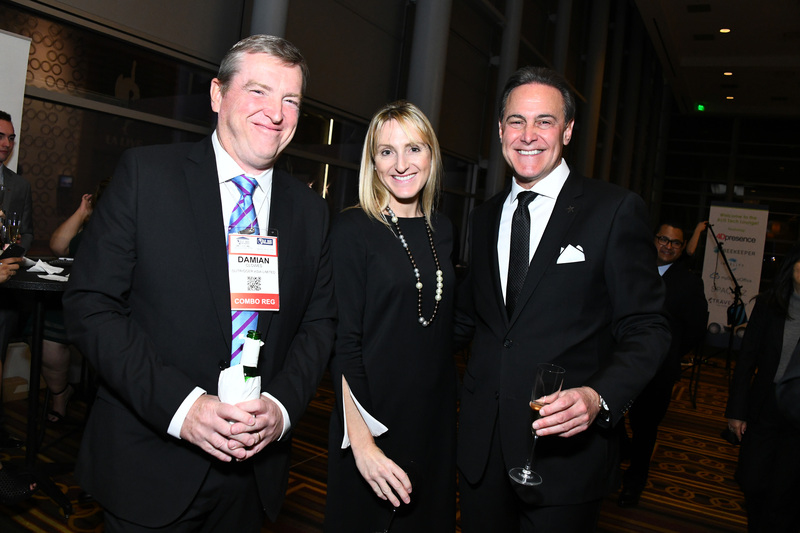 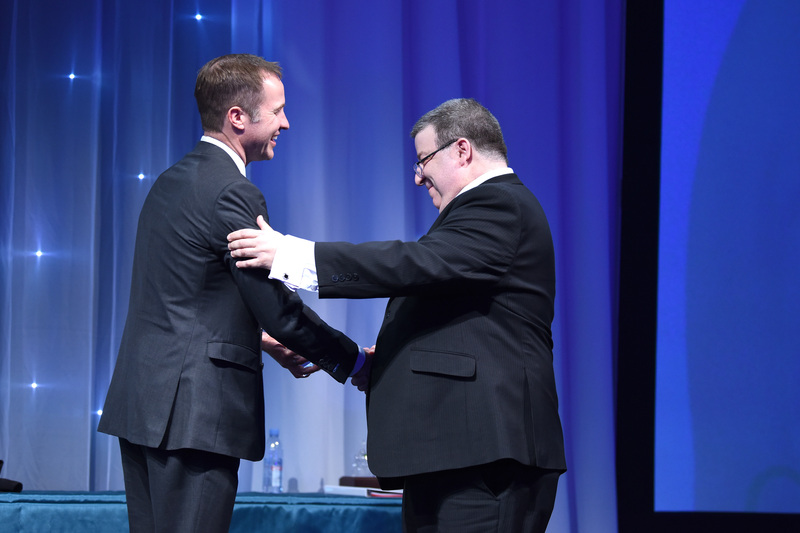 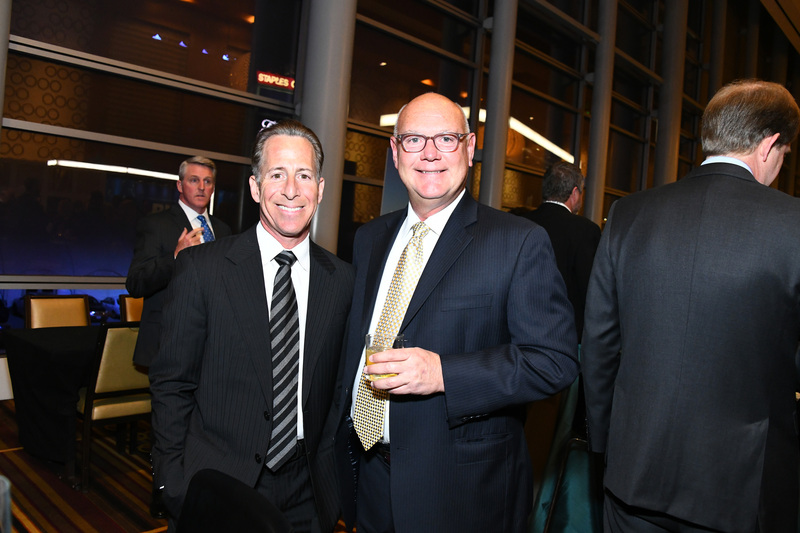 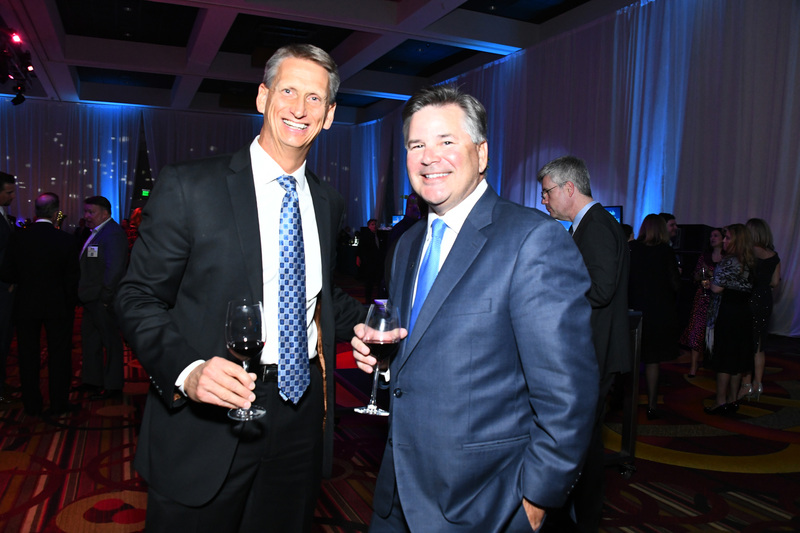 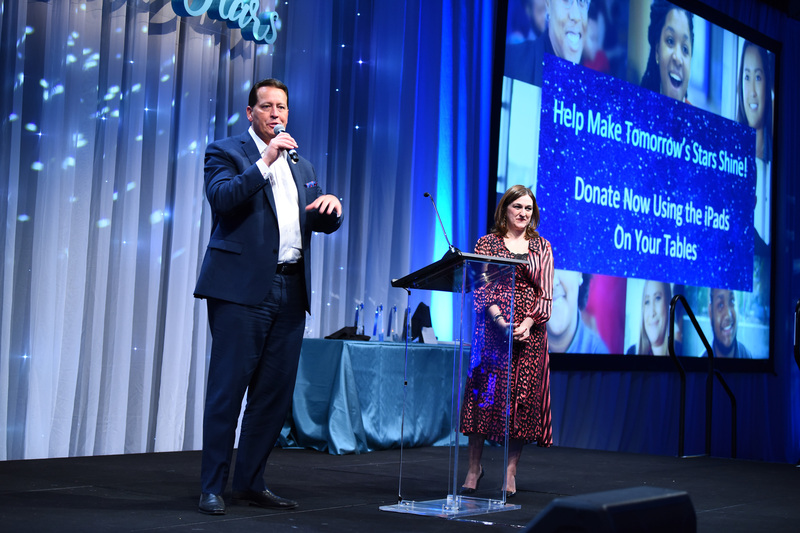 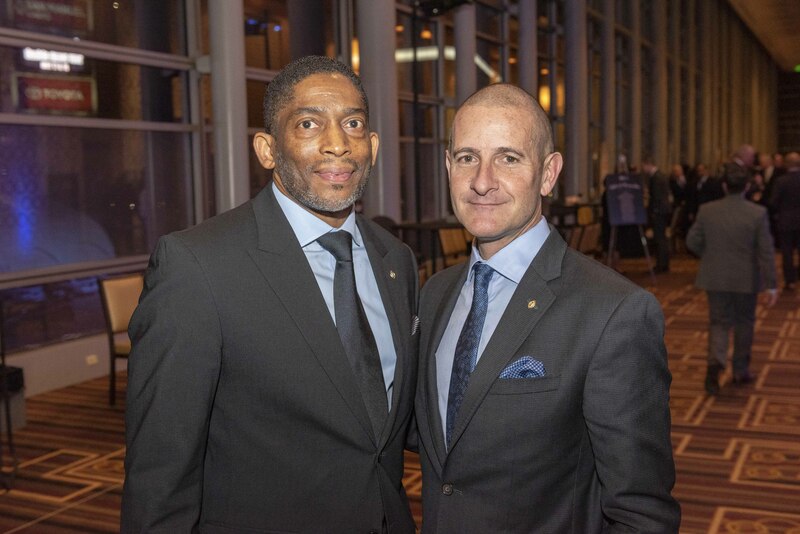 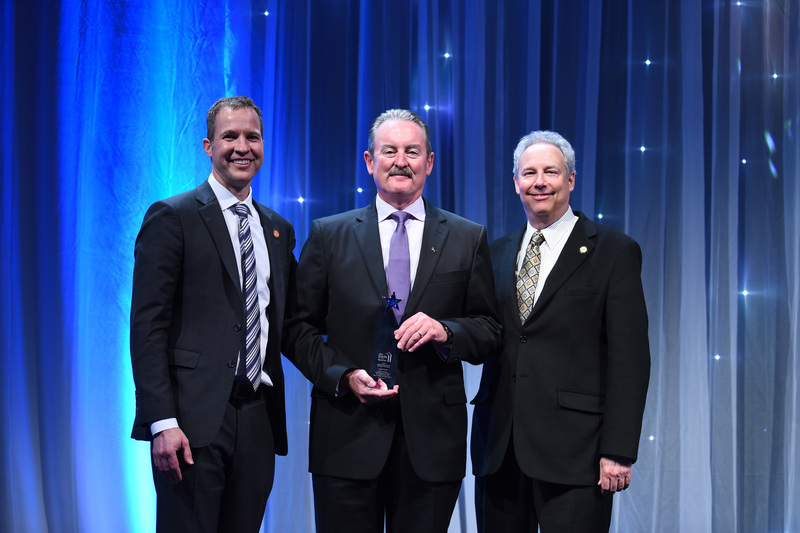 The pair presented the winners with their awards, alongside the new incoming AHLA Board Chair, Geoff Ballotti, President and CEO of Wyndham Hotels and Resorts and AHLA immediate past chair, Mark Carrier, President of B.F. Saul Hospitality Group. 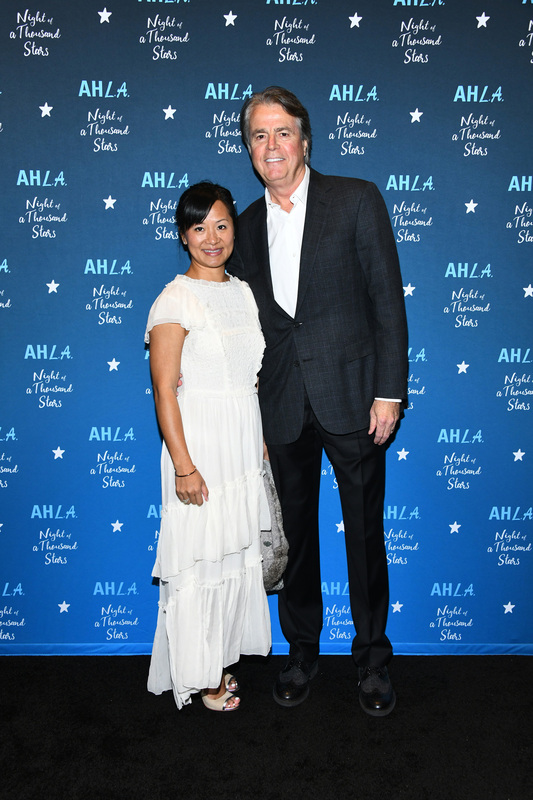 Incoming AHLA President & CEO Chip Rogers was also in attendance. 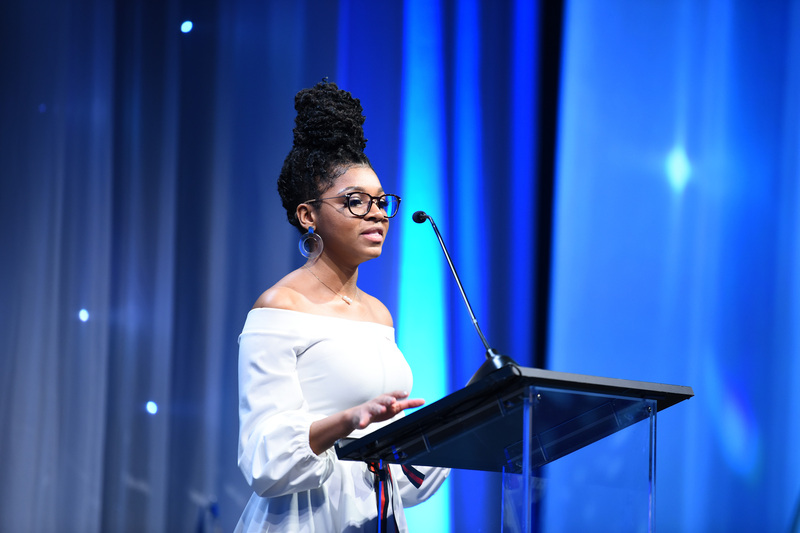 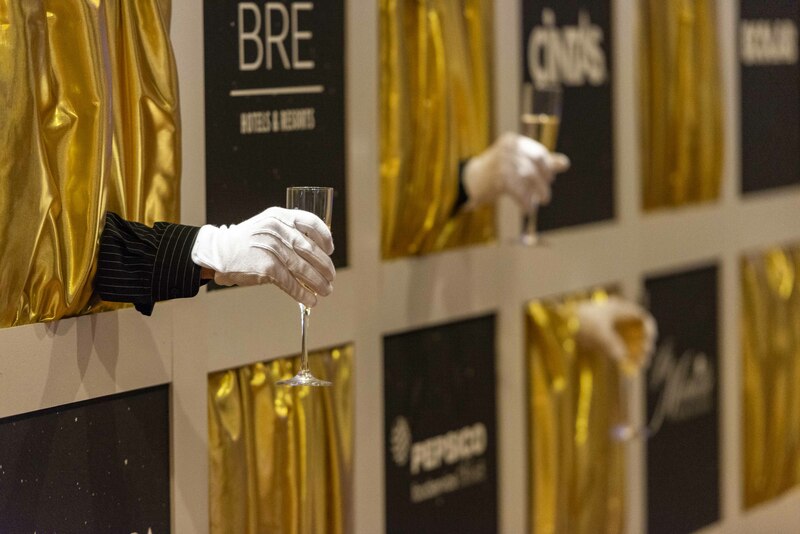 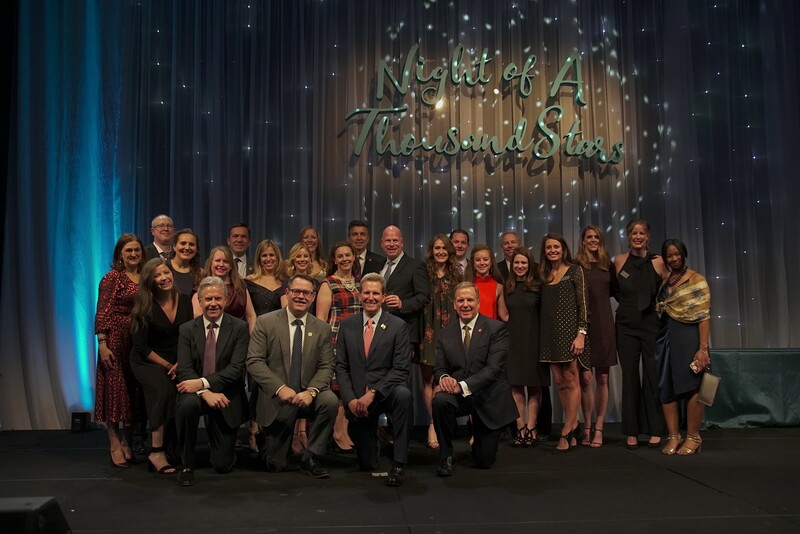 This year’s Stars of the Industry were selected by a panel of industry leaders. 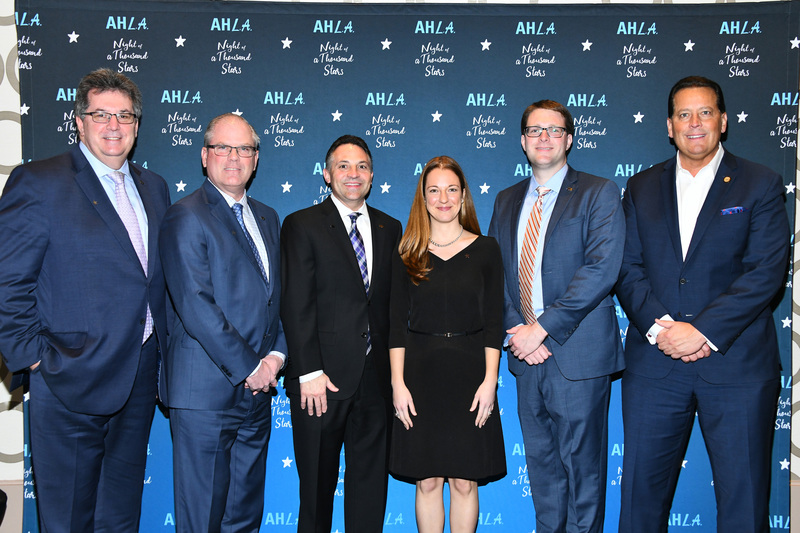 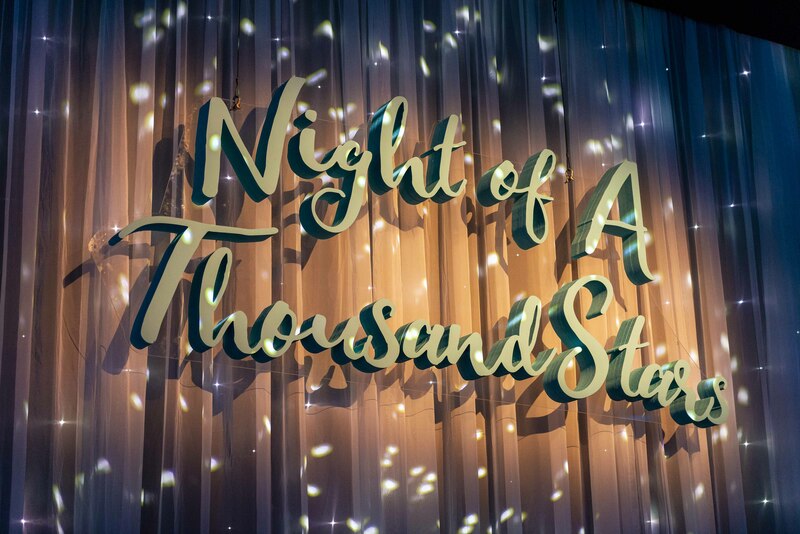 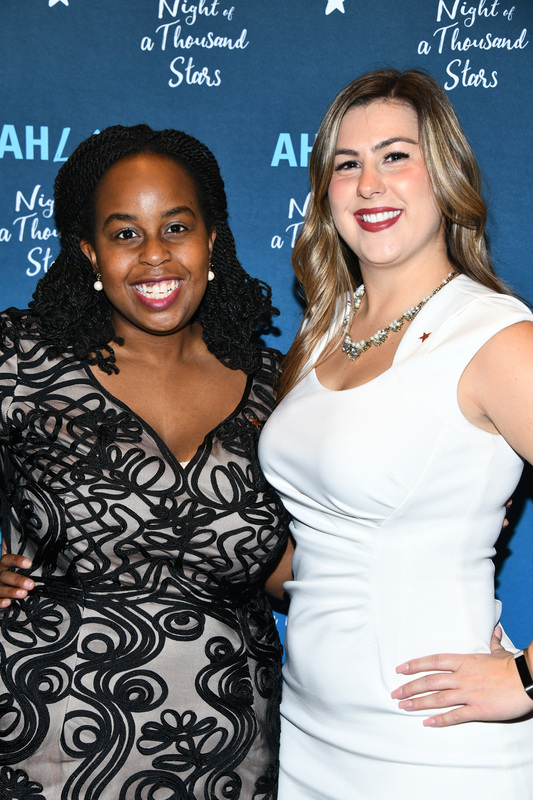 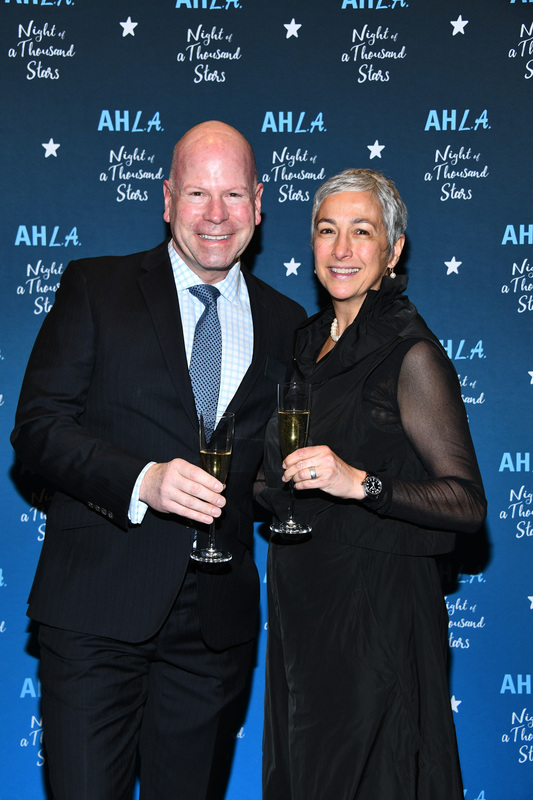 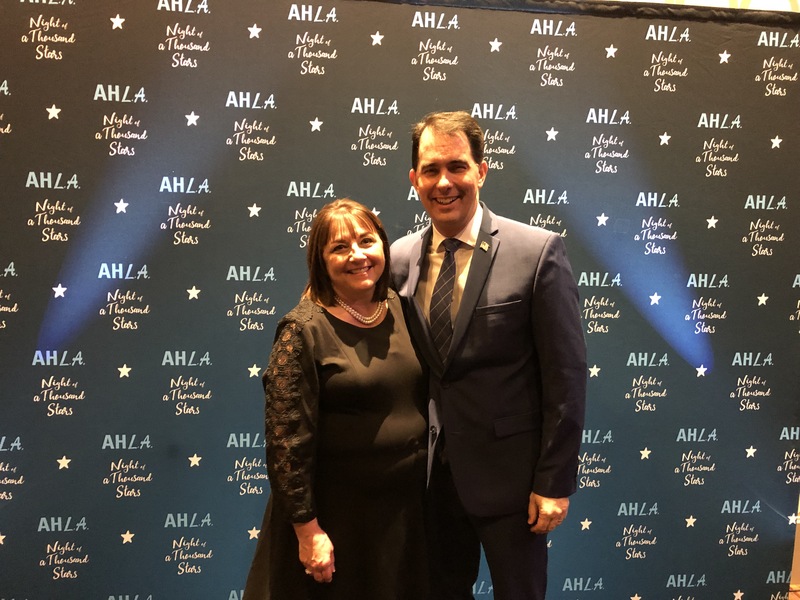 AHLA’s 2019 Stars of the Industry winners are listed below. 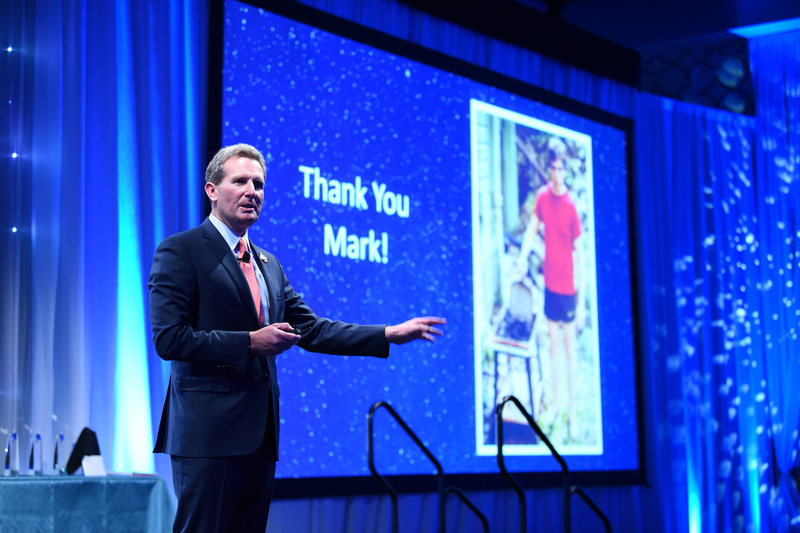 Photos and videos available here. 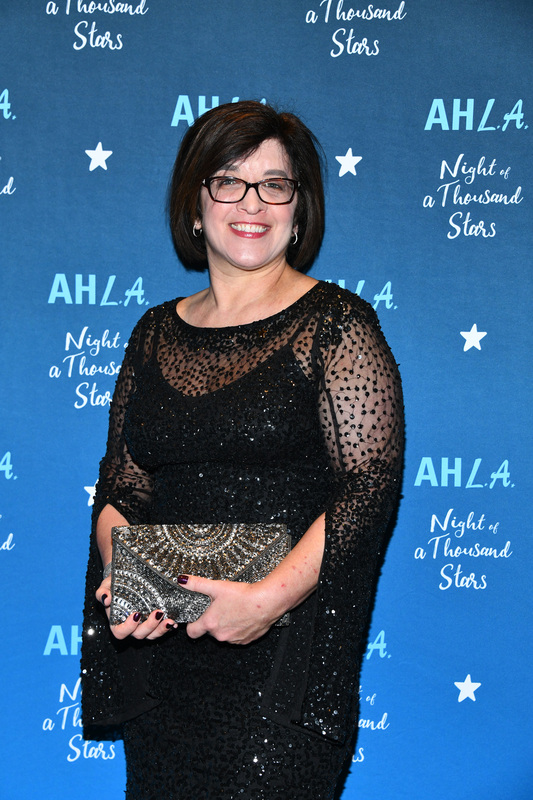 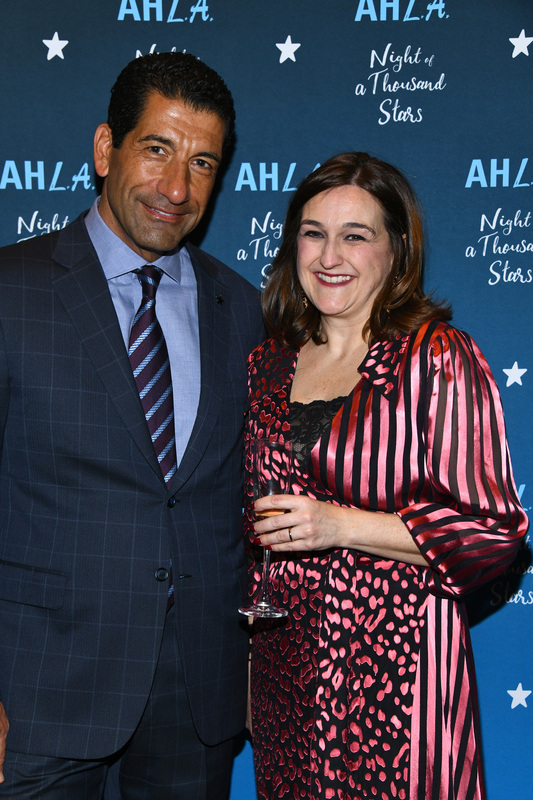 Lee Dratch, Night Auditor, Columbus Airport Marriott, Columbus, Ohio – The North Star Award, the most prestigious award presented at AHLA’s Stars of the Industry ceremony, is given to a non-management level associate who makes a significant difference day in and day out in the hospitality business. 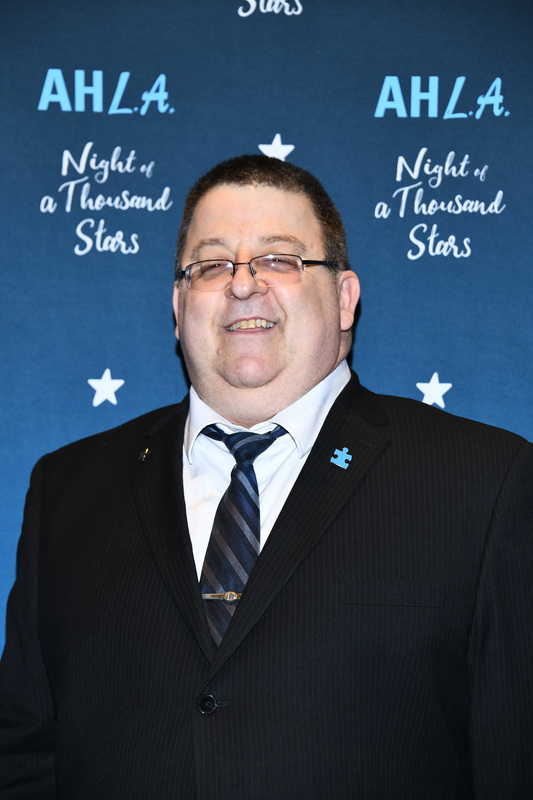 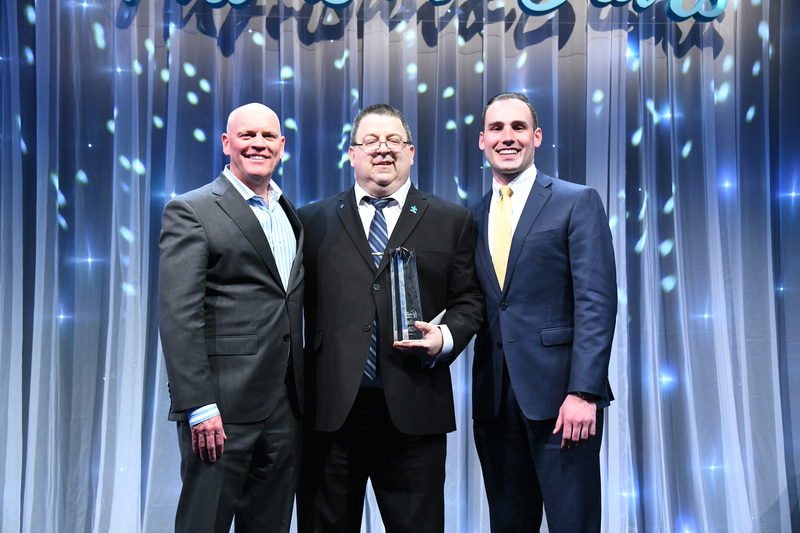 Over the past eight years, Lee Dratch has gone above and beyond in his duties as a Night Auditor for the Columbus Airport Marriott in Columbus. 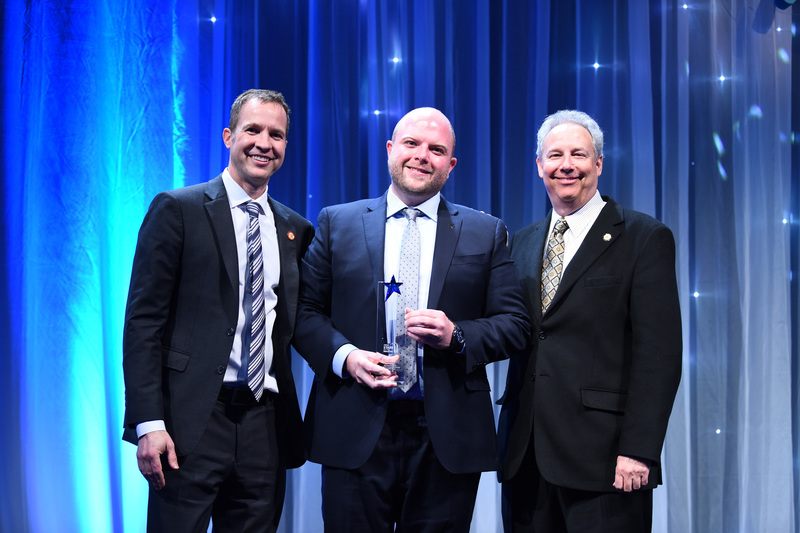 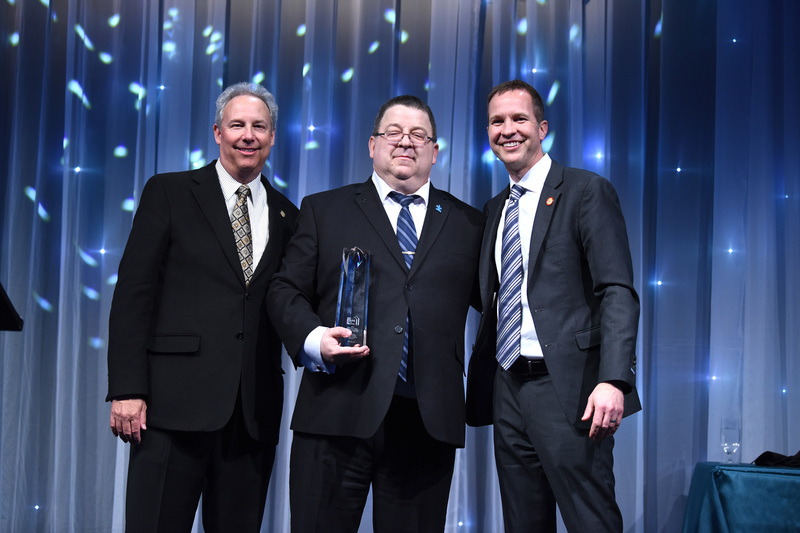 Lee’s contagious personality, dedication to his job, and reliability at Marriott is the reason he is considered “a true rock star” by his peers. 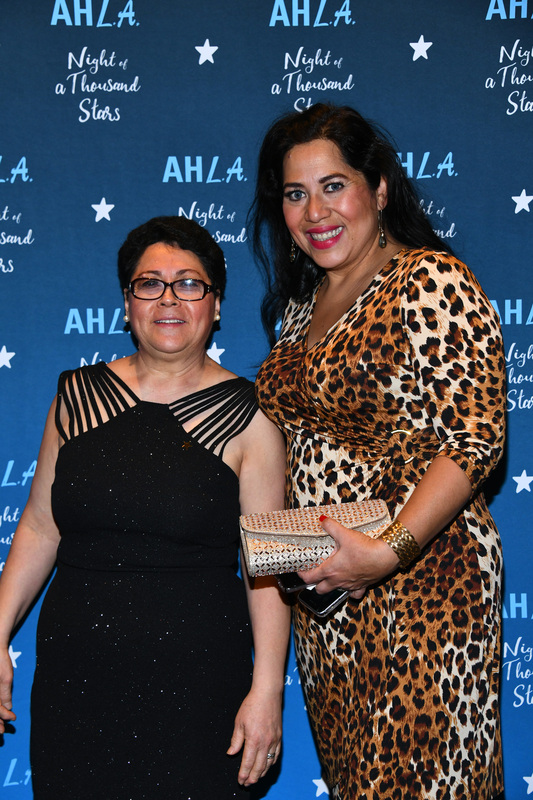 Gloria Quintanilla, Laundry Attendant, DoubleTree by Hilton Hotel & Suites Houston by the Galleria, Houston, Texas - Over the past ten years, Gloria Quintanilla, a Laundry Attendant at the DoubleTree by Hilton in Houston and North Star Award finalist, has been a dedicated member of the hotel team. 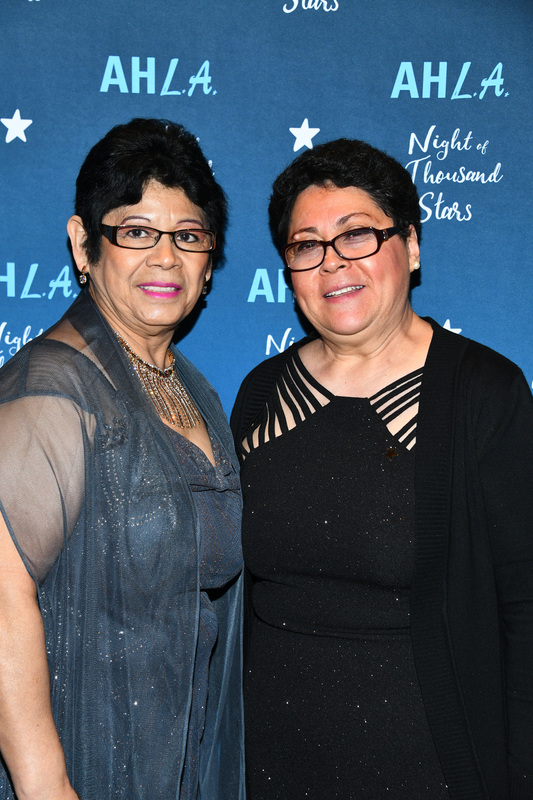 During Hurricane Harvey, Gloria arrived to work despite a three-hour walk in the rain through the flooded and devasted streets. 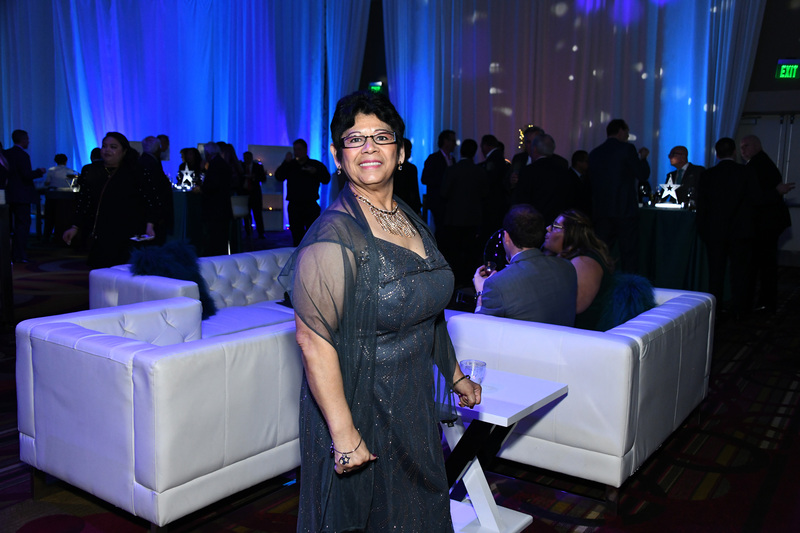 She inspires those around her and is referred to as a “super star” at the DoubleTree Hilton. 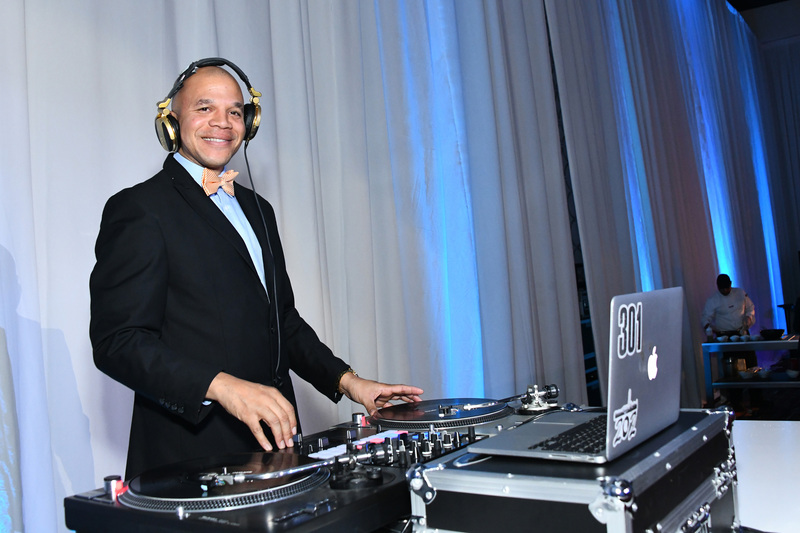 Matthew Parsons, General Manager, AC Hotel Atlanta Buckhead at Phipps Plaza, Atlanta, Georgia – Matthew Parsons is the General Manager of the 16-room AC Hotel in Atlanta, entering its second full year of operation. 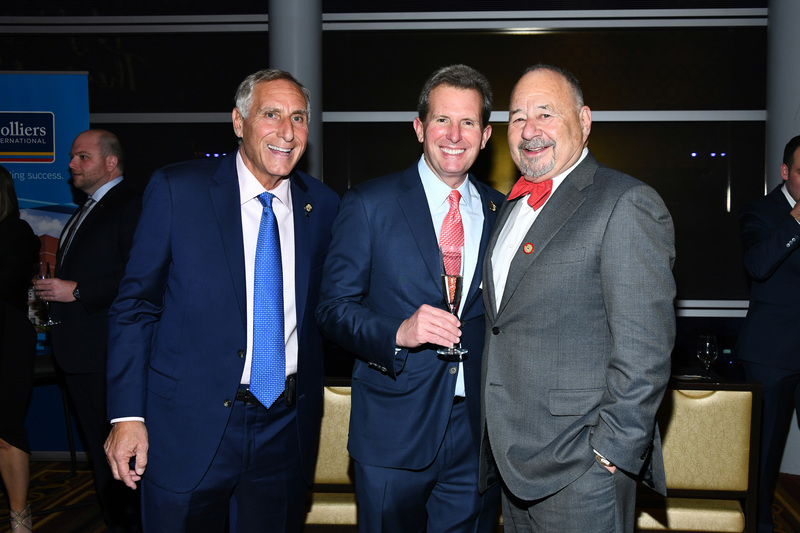 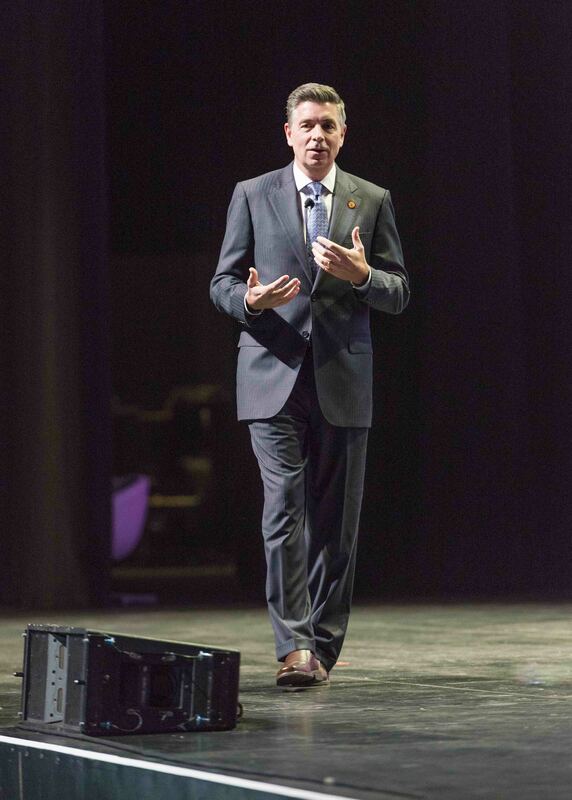 Matthew was instrumental in the hotel’s opening process, focusing on innovative ways to generate buzz, and in turn received one of the highest scores for a pre-opening test by Marriott. 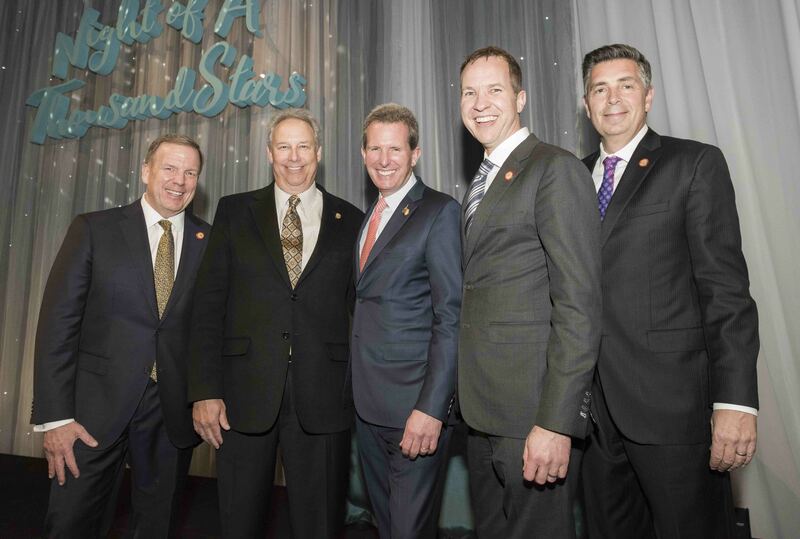 Because of Matthew’s leadership and success, the AC Hotel, now entering its second full year of operation, has the same management team from day one. 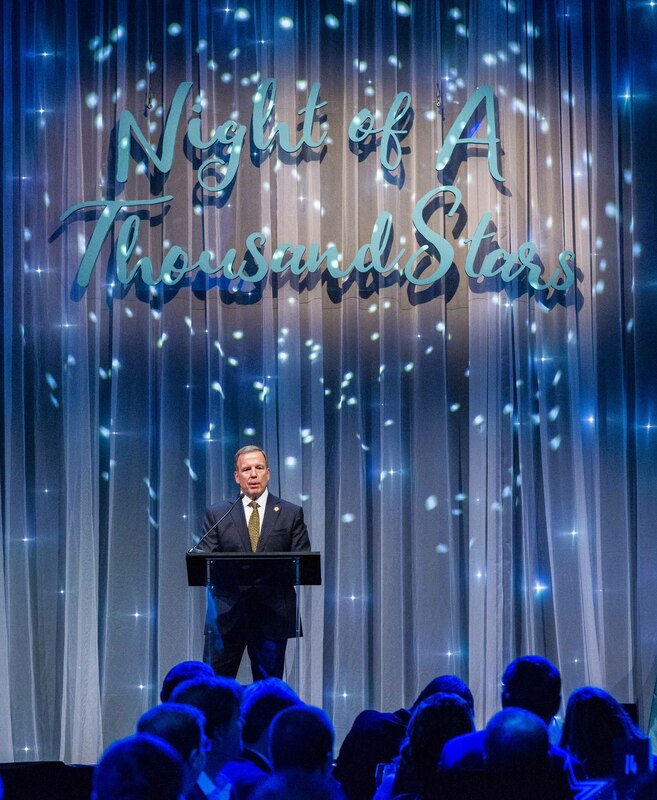 Steven Cunningham, Complex General Manager, Hotel Galvez & Spa, A Wyndham Grand Hotel, The Tremont House, A Wyndham Grand Hotel & Harbor House Hotel and Marina at Pier 21, Galveston, Texas – Steven Cunningham has been the General Manager of these three hotels in Galveston for the past nine years. 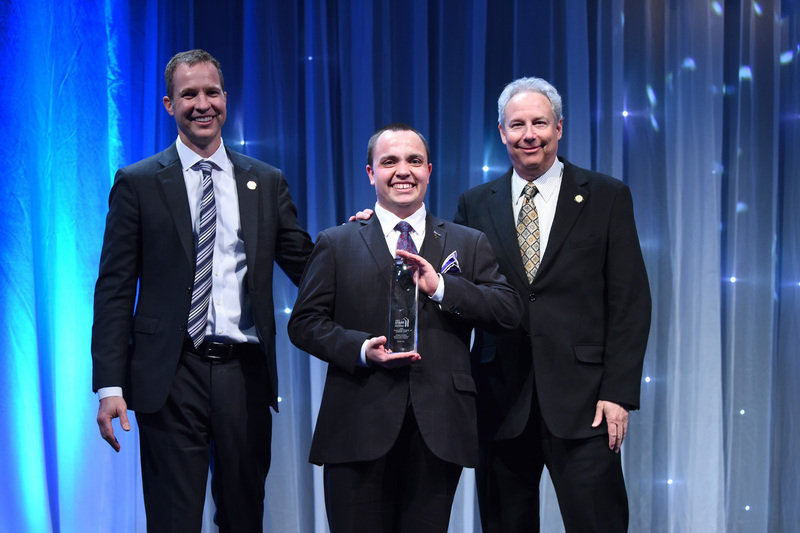 Steven’s passion for the industry and compassion for his staff is what sets him apart. 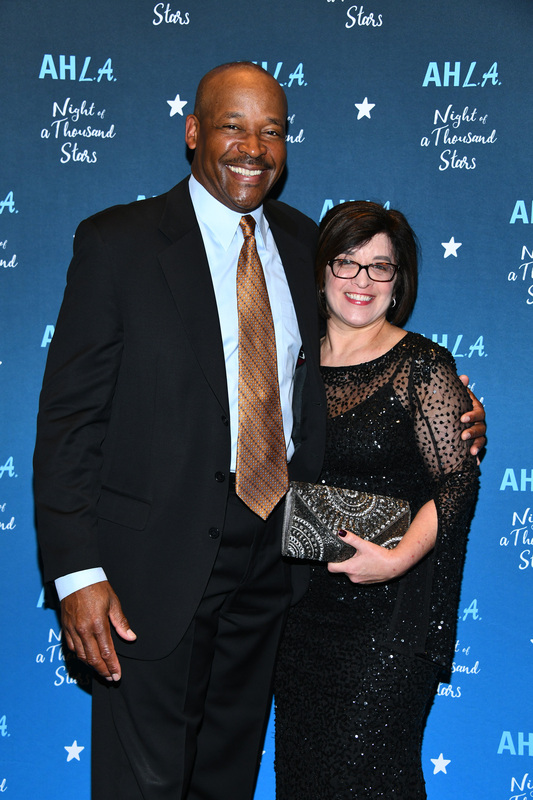 After Hurricane Harvey impacted the area, Steven provided displaced employees and their families with housing, meals, resources at the hotel and even gift cards to help during the difficult time. 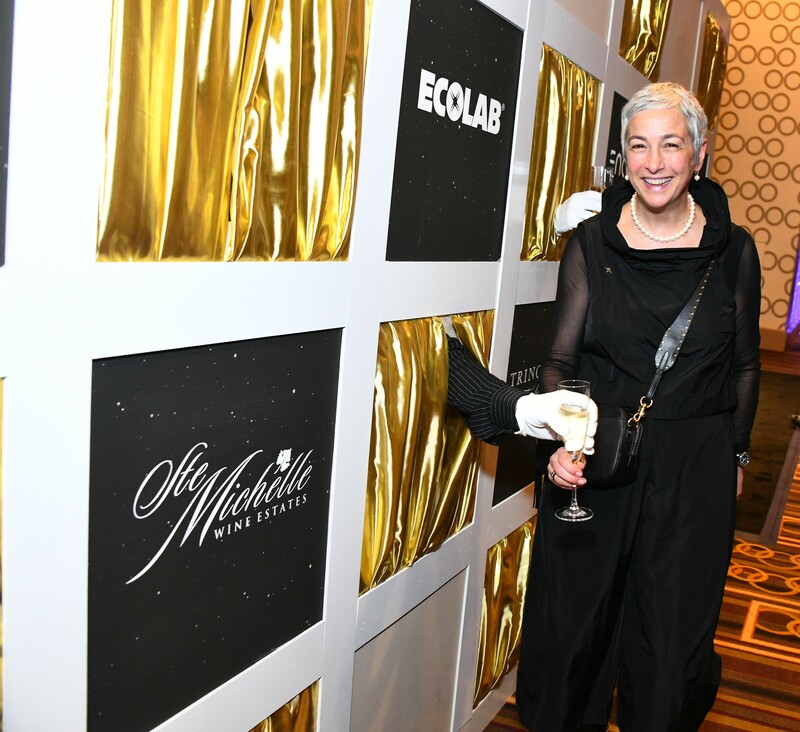 Stacy Smith, General Manager, Hyatt Place Washington, DC/National Mall, Washington, DC – Over the past four years as General Manager at the Hyatt Place Washington, DC/National Mall, Stacy Smith has shown exceptional leadership as a role model at the hotel and within her community. 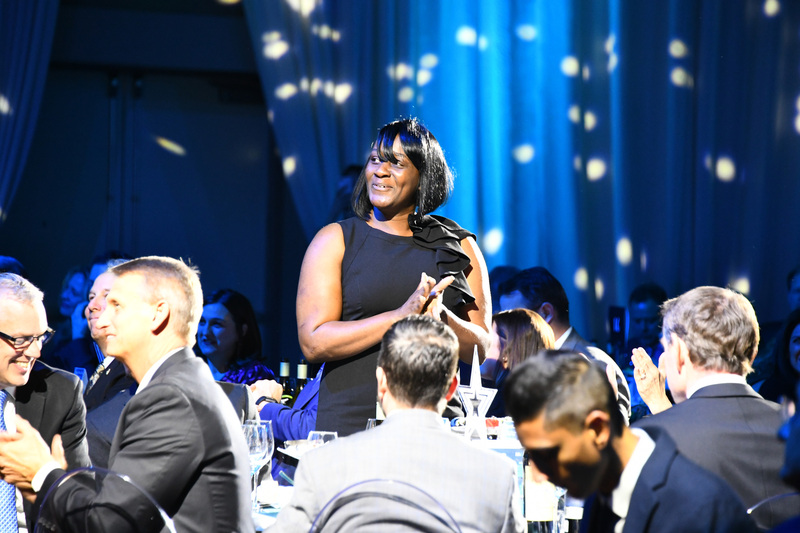 In 2015, Stacy started a program called City Partner Pathways, now funded by the DC government, that provides disadvantaged people with the opportunity for a life-long career. 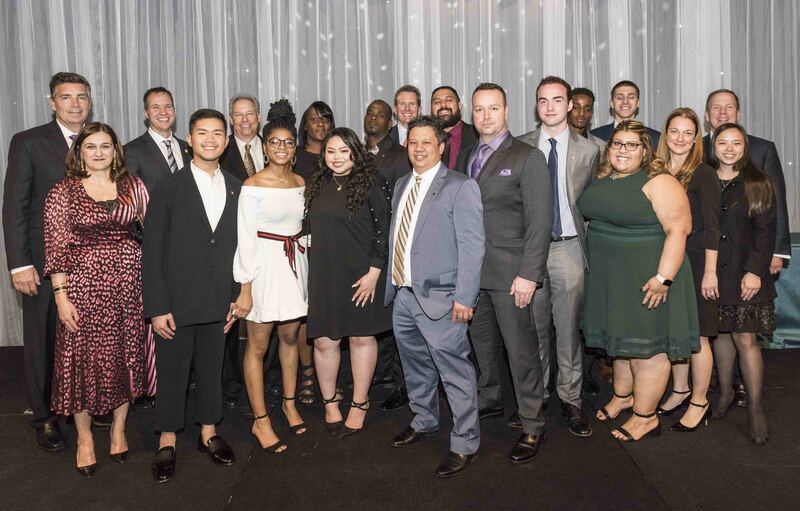 As a result of the program and Stacy’s mentorship, more than two dozen 18-24-year-old young adults have gotten training and a job at the hotel. 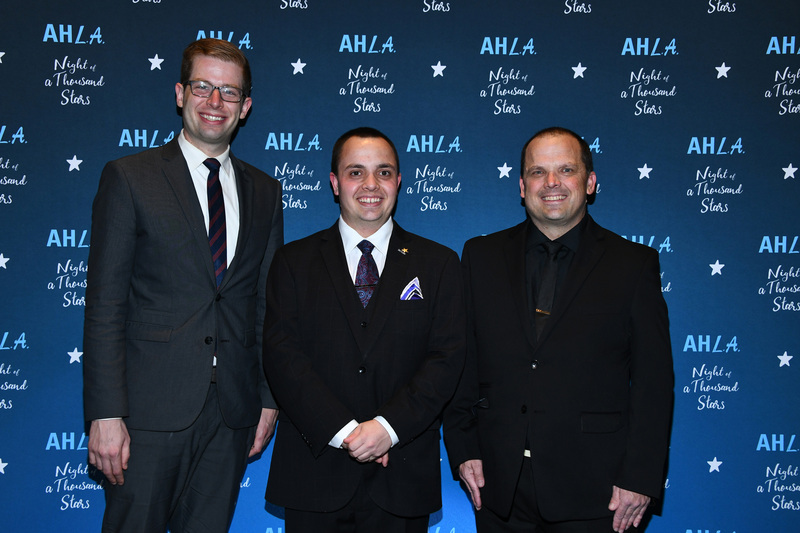 Andrew Carroll, Grand Club Concierge, Grand Hyatt Denver, Denver, Colorado – Andrew Carroll is a concierge at the Grand Hyatt in Denver. 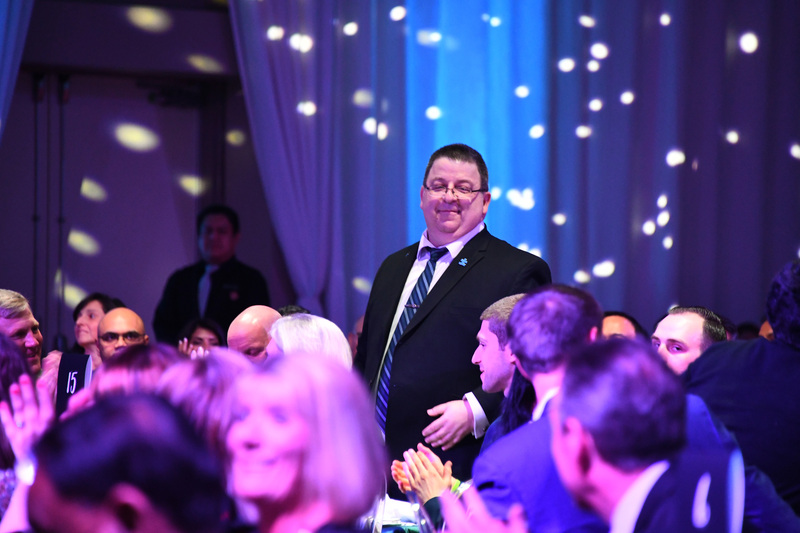 Andrew takes great pride in his job, knowing that he is making an honest difference in his guests’ lives. 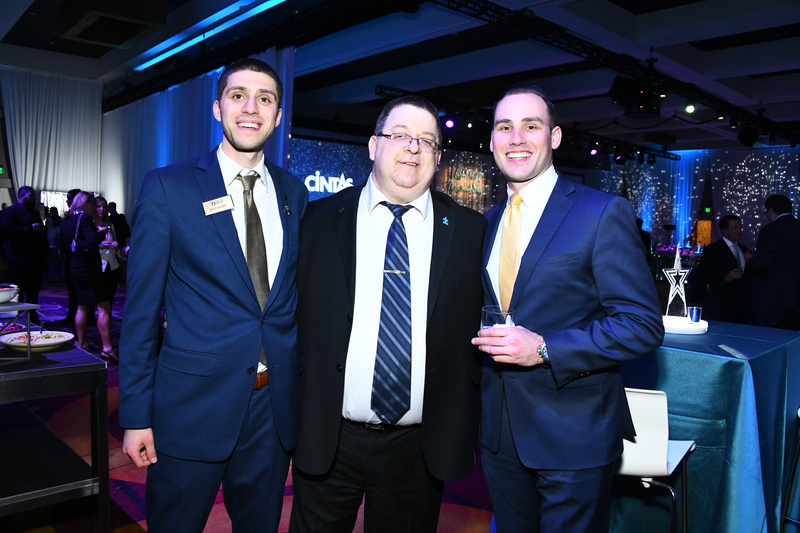 Andrew’s colleagues have said that they have never come across someone so dedicated to customer service, and his guests agree: Over a one-year period, more than 55 guest service surveys have mentioned Andrew by name, citing specific examples of how Andrew goes above and beyond for his guests.